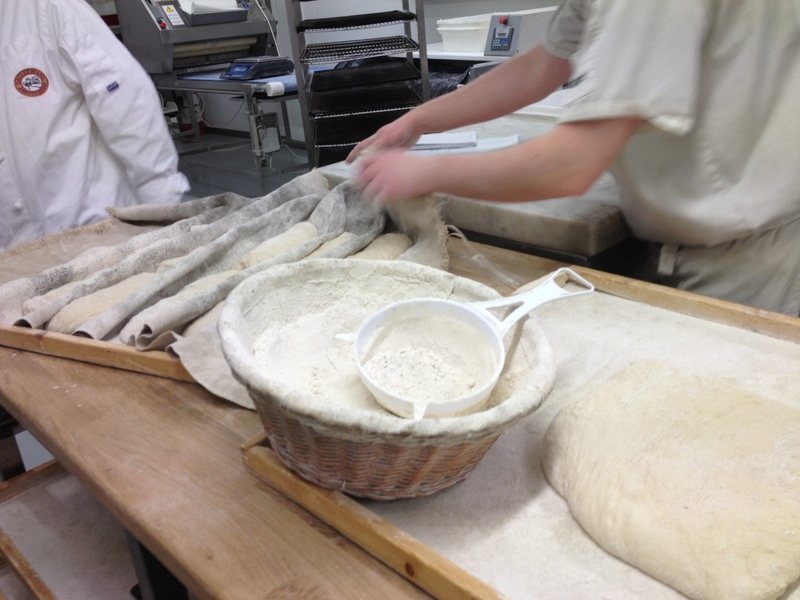 Another week, another night in Arbutus Breads learning all their secrets to the tastiest breads in Ireland! 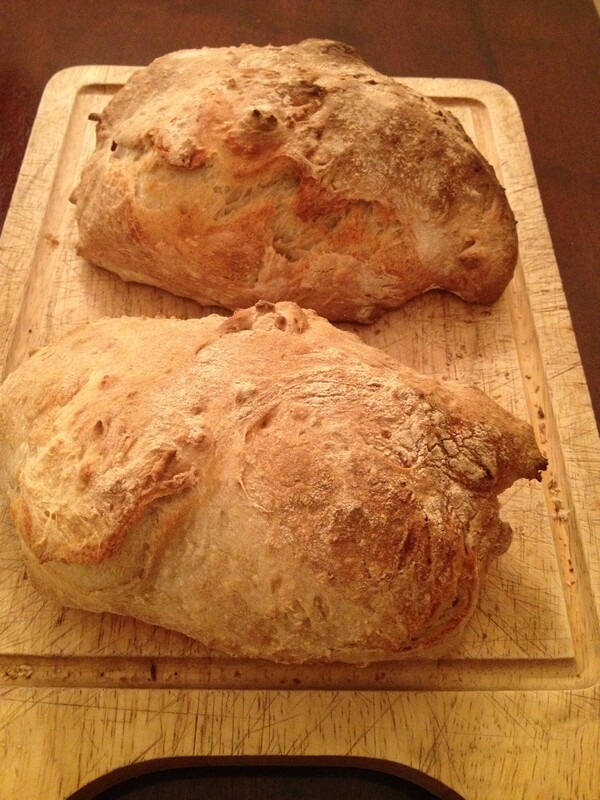 This week we made two breads that were definitely my favourites so far. 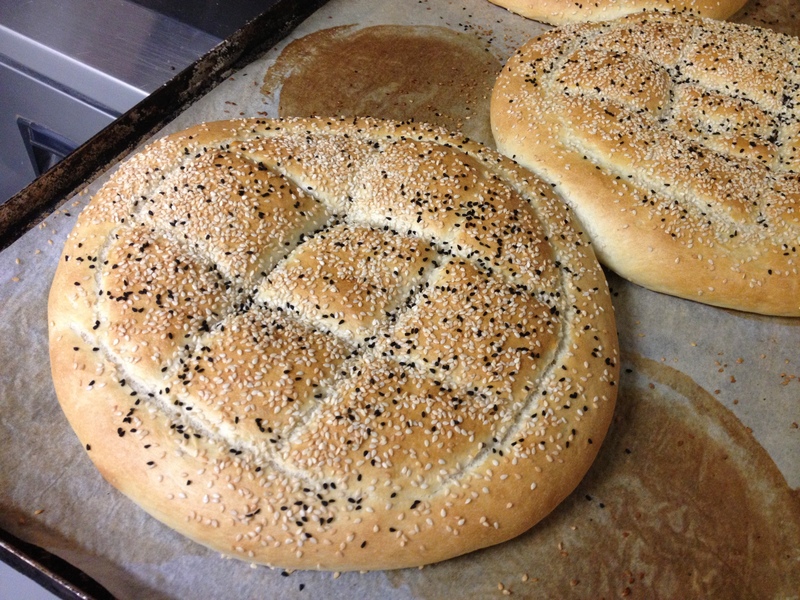 We made a Turkish Pide bread, and also a Saffron & Almond sweet bread (will blog this later). These were both so good that I ate both loaves in their entirety on my own over the following two days.. I know, I’m a greedy guts! The Turkish Pide was absolutely delicious. 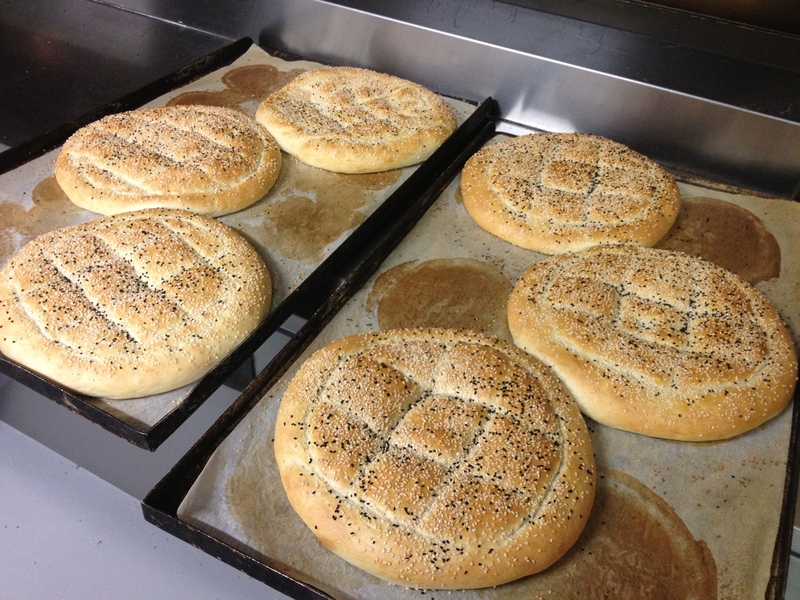 We were taught how to make this bread from Sukru, a third generation Turkish baker that has worked at Arbutus for over ten years. 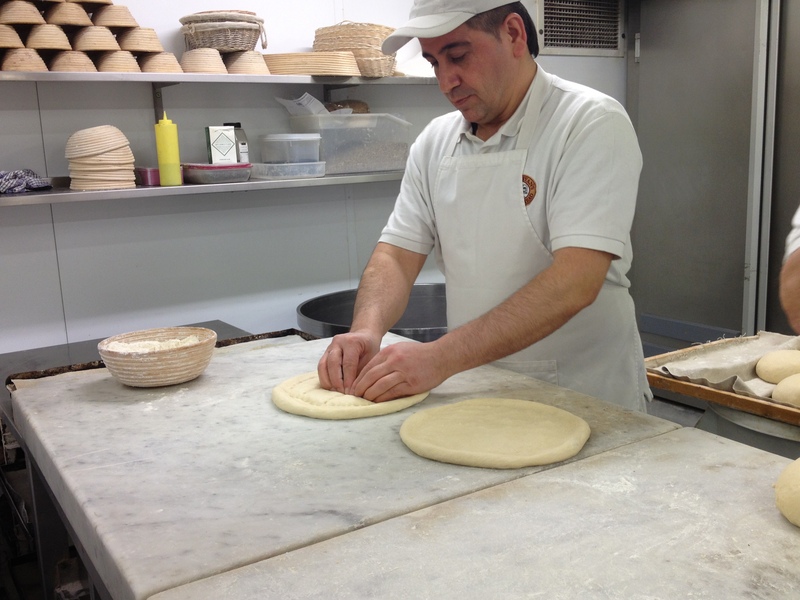 This guy is amazing… he was kneading dough two at a time.. one in each hand! This recipe makes three loaves and is perfect for tear and share, great for parties with dips. The Turks often stuff these as well. 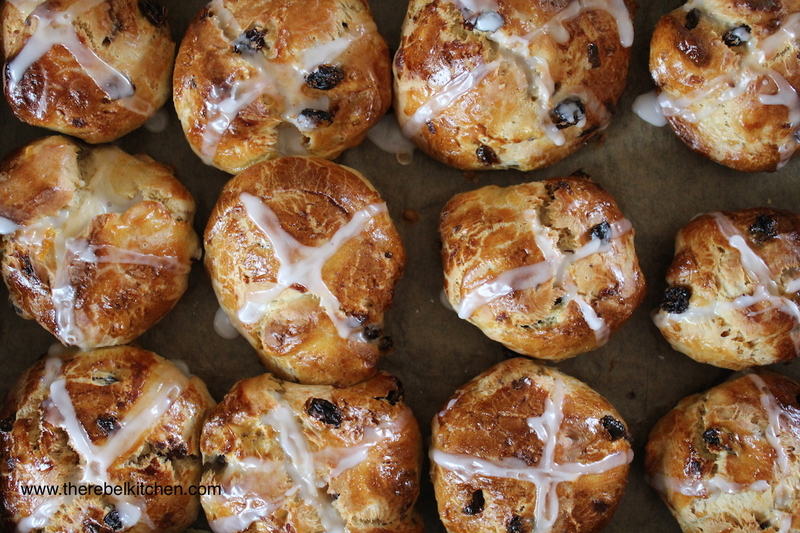 I think I will try stuffing one of mine with a minced lamb mixture and drizzle it with mint yoghurt. They are also great toasted with cheese and other treats in the centre. 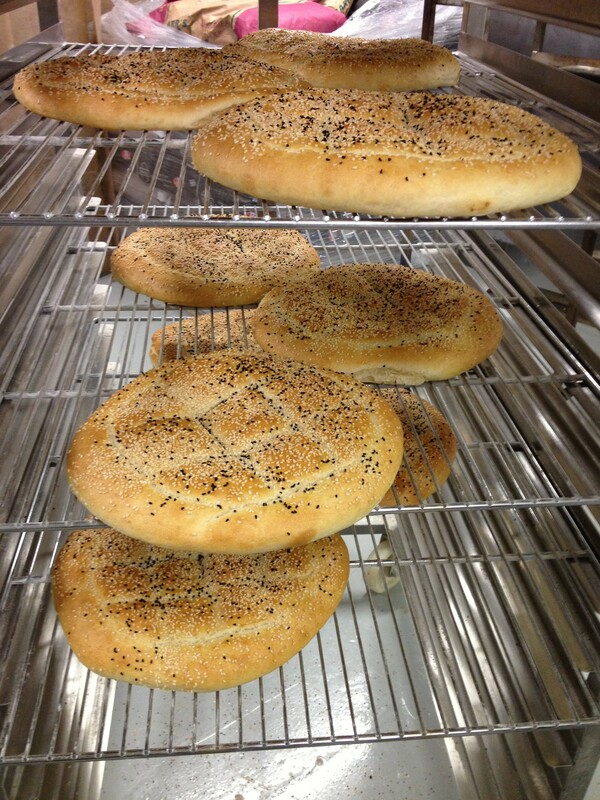 Apparently this delicious bread is traditionally eaten at the end of Ramadan sprinkled with sesame and sweet onion seeds. Bakers from outside of Istanbul travel to the capital for the month and earn three times their usual salary to supply the demand! People will queue for hours to make sure that they get a loaf. 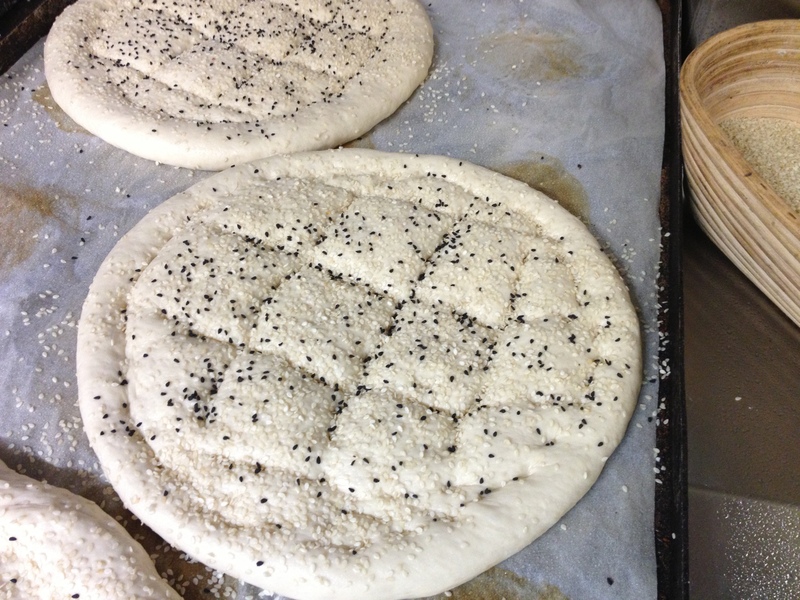 Honestly, I can’t imagine a better way to break a fast than with a torn piece of this delicious flat bread. 1. Mix all ingredients in a food mixer (or bowl if working by hand) for four minutes on a low speed and then four minutes on a high speed. 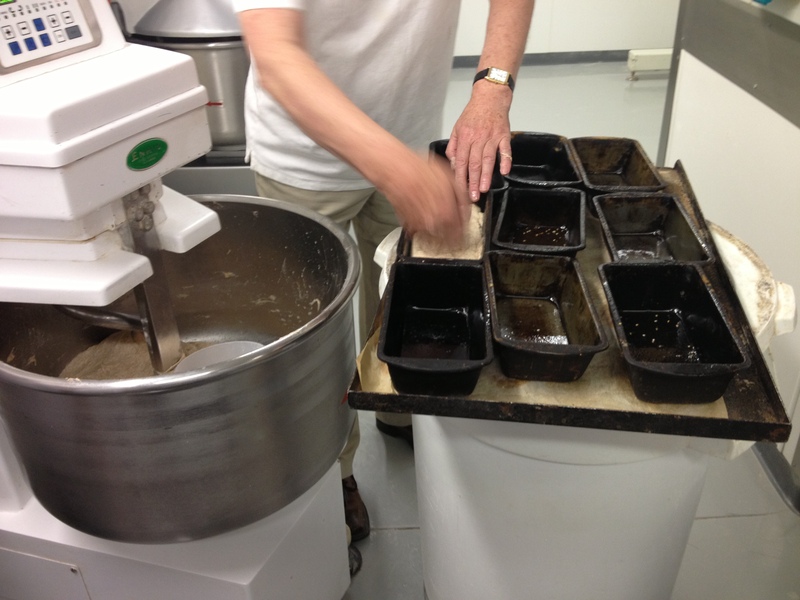 If mixing and kneading by hand, knead gently for about 10 to 15 minutes until it all comes together. 2. Leave it to rest for 1 hour in a bowl covered with a towel before cutting and shaping. 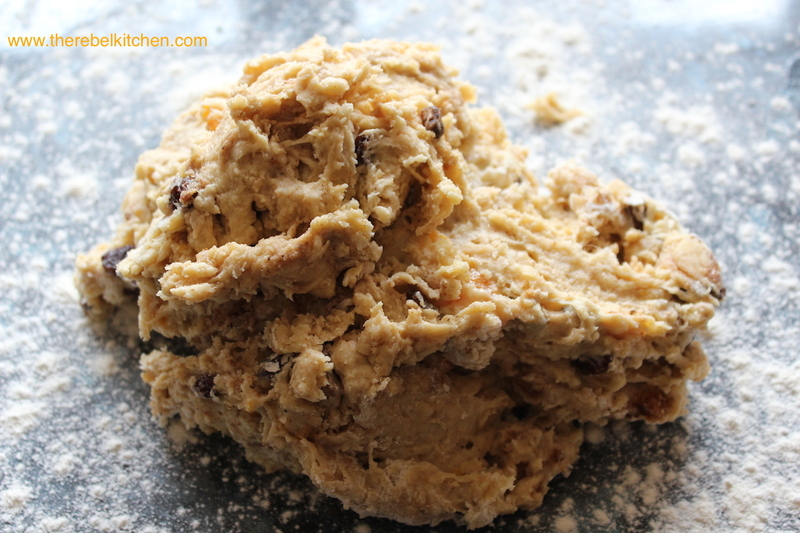 After resting, cut the dough into three equal pieces. Knead very lightly of a minute or two using the palm of your hand until the dough comes together to form a nice little ball. Leave rest for another 10 minutes. 3. 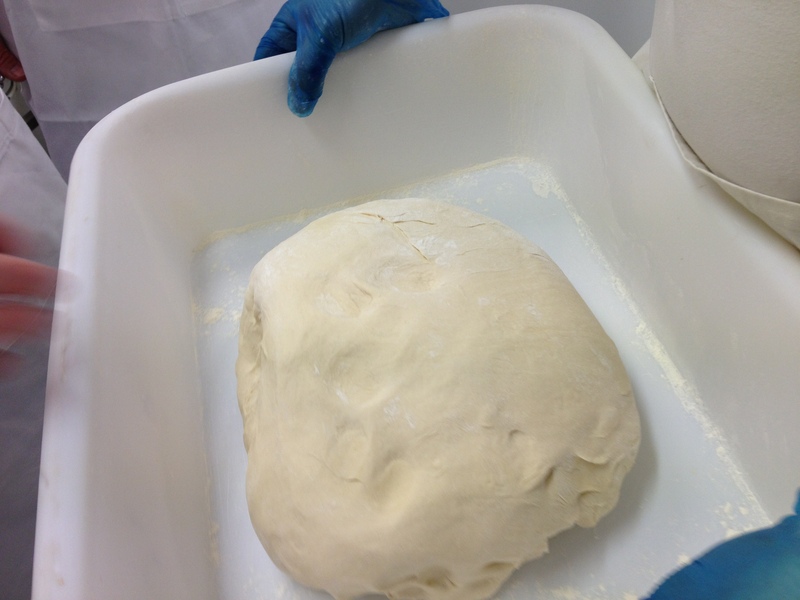 On a lightly floured surface flatten the dough with your outstretched fingers until you have a nice disk shape. 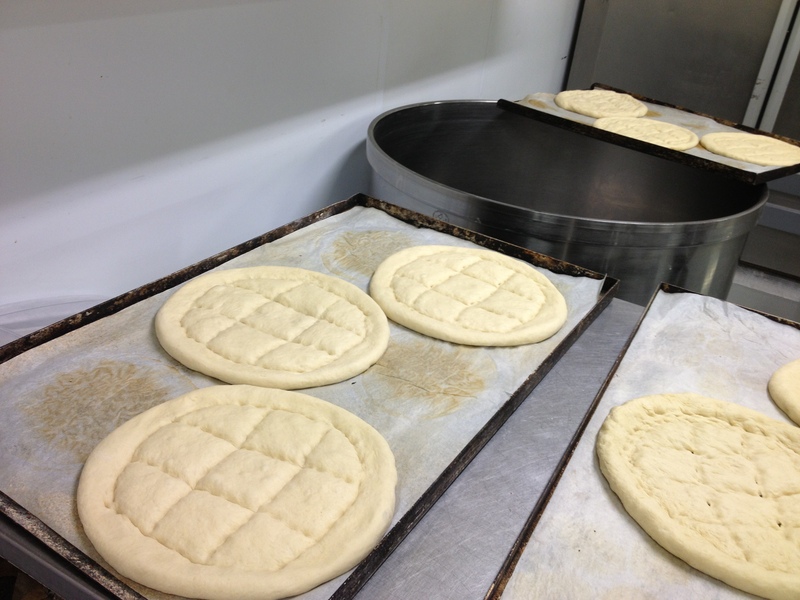 Then make the pattern on the bread by using your fingers to imprint four lines vertically and horizontally on the loaf. Then join up these lines to create a circular rim. Look at the photos below for guidance. 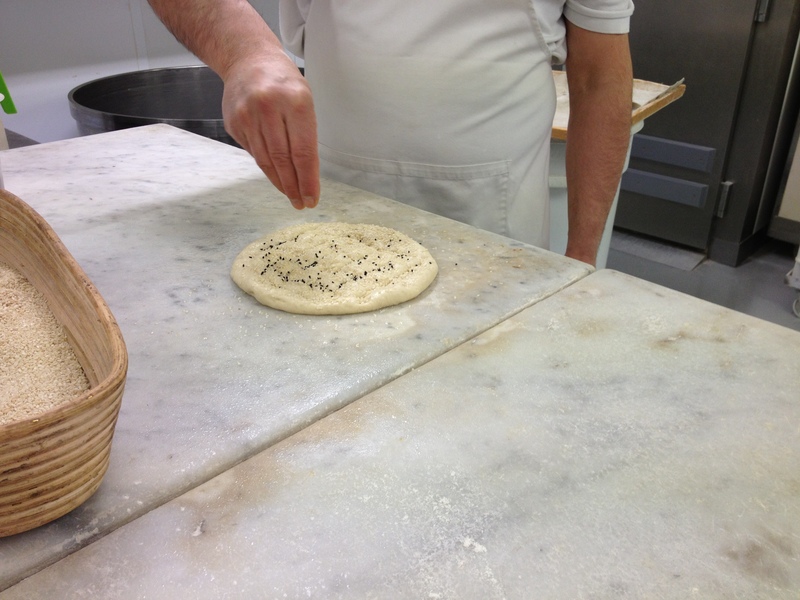 Place the bread over the backs of your hands and give it a little spin (you will feel very cool doing this) like you see people doing in pizzerias. 4. Sprinkle with sesame and sweet onion (or nigella) seeds. You can get these in health shops and they make such a difference, they’re really fragrant and delicious. Mist the dough lightly with a little water. Place in a hot oven preheated to around 220C for about 10 minutes or so, you want it lightly golden on top, but not too crusty as this is meant to be a light soft bread. I have just finished my second class of the 4 week Arbutus Bread Course and I am really enjoying it, so much so that I’m already disappointed that I’m half way through the course. 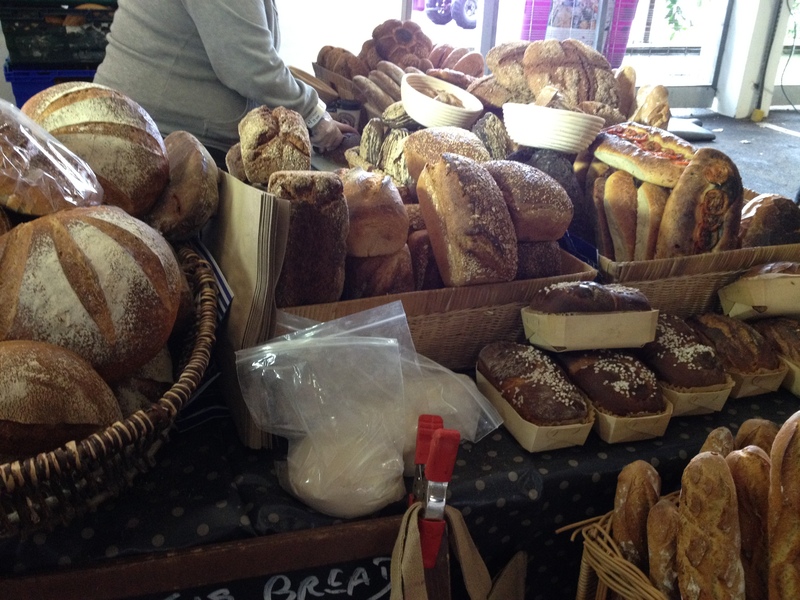 I want to keep going there every week to eat and learn about bread forever! 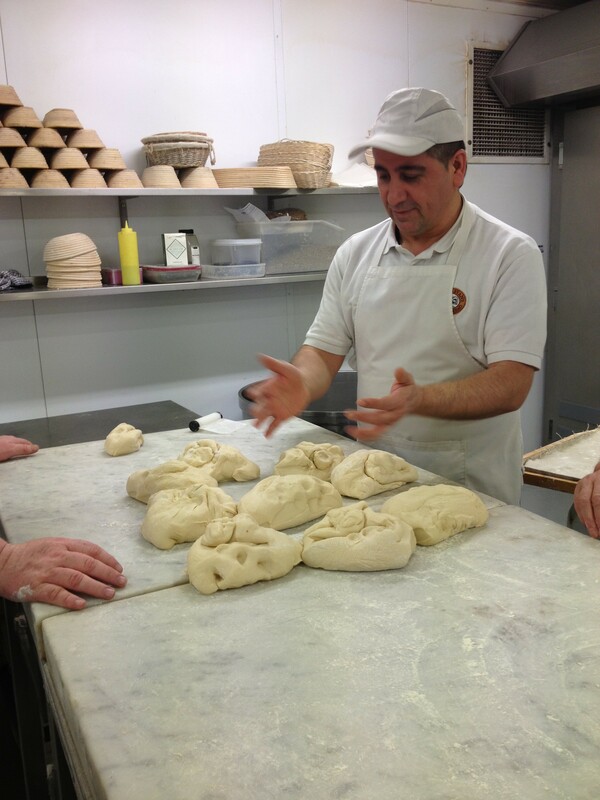 Its so much fun to go every week to listen and learn from Declan Ryan about the art of making artisan bread. You can see how passionate he is about break making as his face literally lights up when he talks about it and his past experiences in different bakeries across the world. 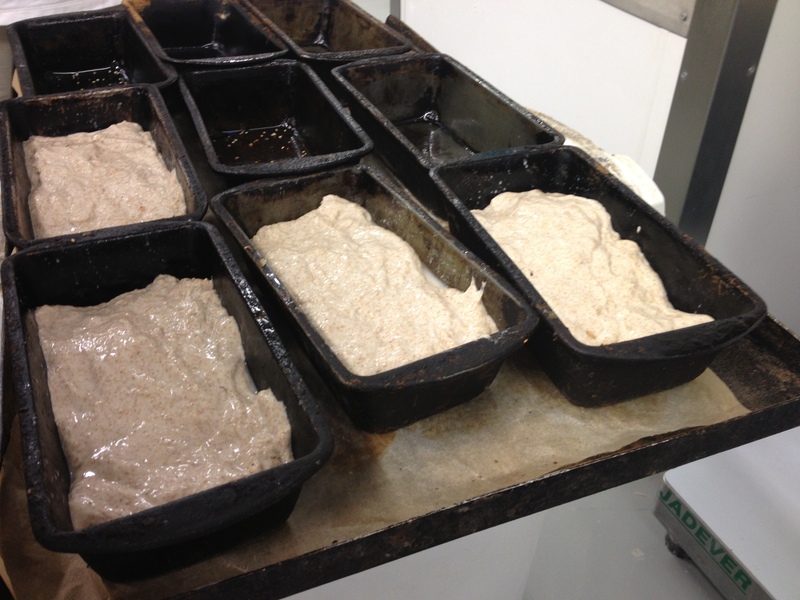 This week we learnt how to make Sourdough and Brown Yeast Bread. 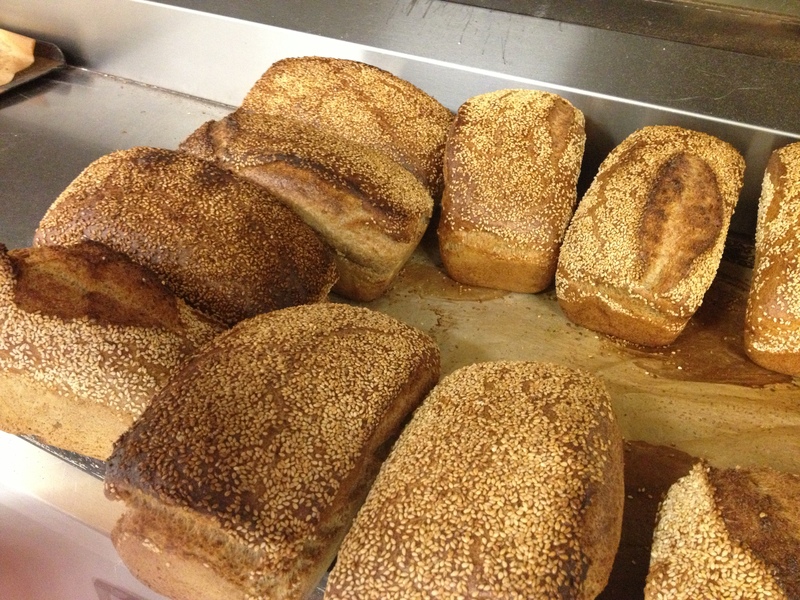 Their Brown Yeast Bread is really amazing and totally unlike any other brown bread you will have tried. 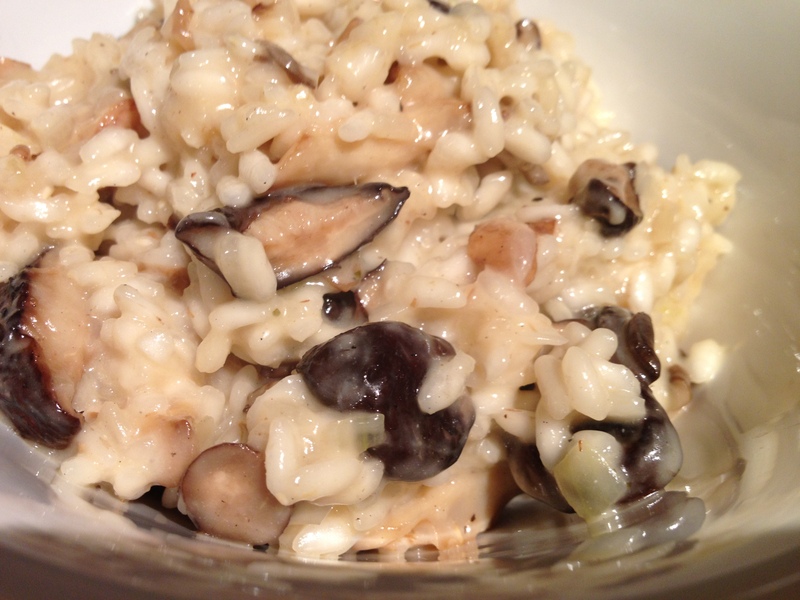 Its really moist, have a bit of a chew and is not dense like traditional brown sodas. 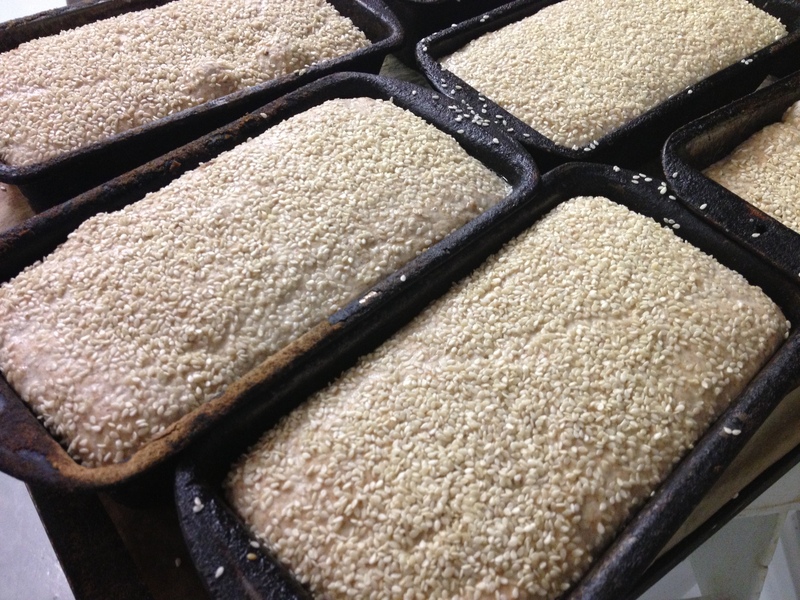 It also has the most amazing sesame seed crust… delicious! 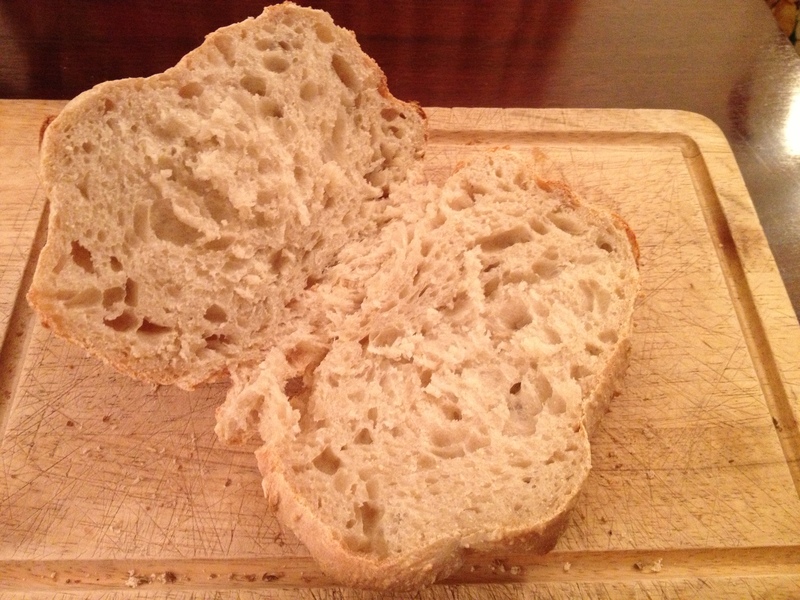 It also only requires one prove and so is probably the speediest yeast bread you can make. There is a funny history behind this particular loaf, and it seems there is a bit of a debate as to who has the naming rights to it! It was invented by Doris Grant, the wife of a cardiologist who was striving to make a delicious, healthy, fibre filled bread and so is it is also known as a Grant Loaf. 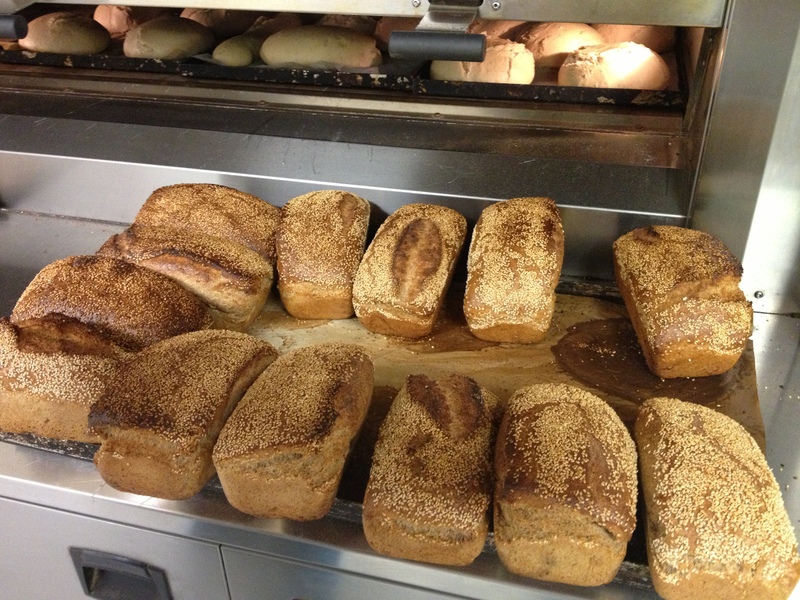 However in Ireland it is often referred to as “Ballymaloe Bread”. 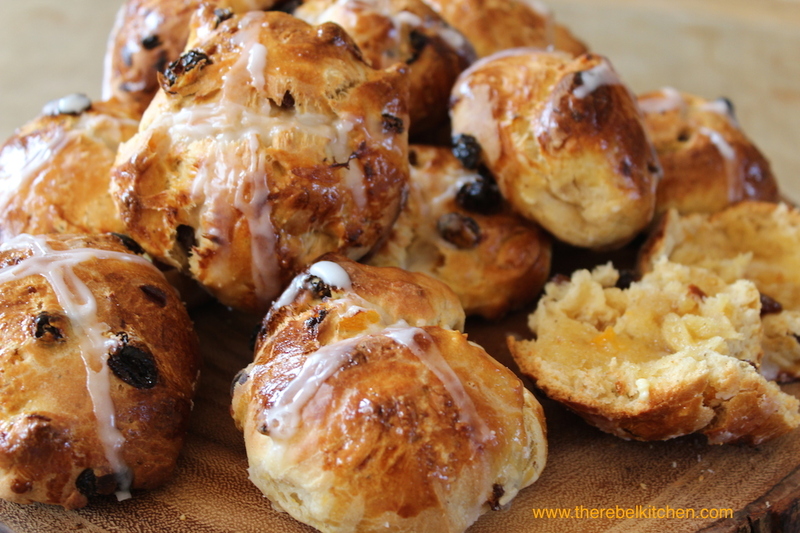 Myrtle Allen founder of Ballymaloe House was taught this recipe by Stephen Pearce’s (the Irish potter) mother many years ago, and it has become a Ballymaloe staple and so now is known as Ballymaloe Bread in Ireland. Isn’t it interesting to know all the history behind this humble loaf? I also left the course this week with a mighty goody bag from Arbutus including a pot of their starter, some fresh yeast and French T65 flour. I am totally equipped to recreate this at home this weekend, and a good friend has volunteered to be my guinea pig. I hope that I manage to recreate it well, but honestly I am more worried about killing the pot of Arbutus starter Declan gave me… It’s almost 20 years old and delicious! Keeping a starter has been compared to keeping a pet, and my track record with pets isn’t great, so here’s hoping my starter has a long healthy life! 1. Dissolve yeast and malt extract in the warm water. 3. Place the dough in a well oiled baking LB tin, cover with a sprinkle of flour and leave it to rise for about an hour at room temperature. 4. Preheat the oven to 200C/400F/Gas Mark 6, bake for 30-40 minutes. 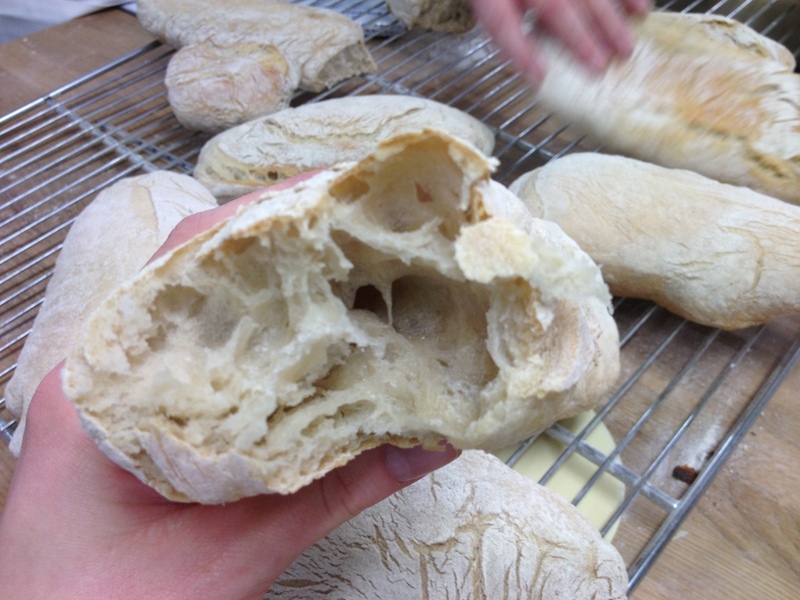 The bread should sound hollow when tapped on the base if fully cooked. 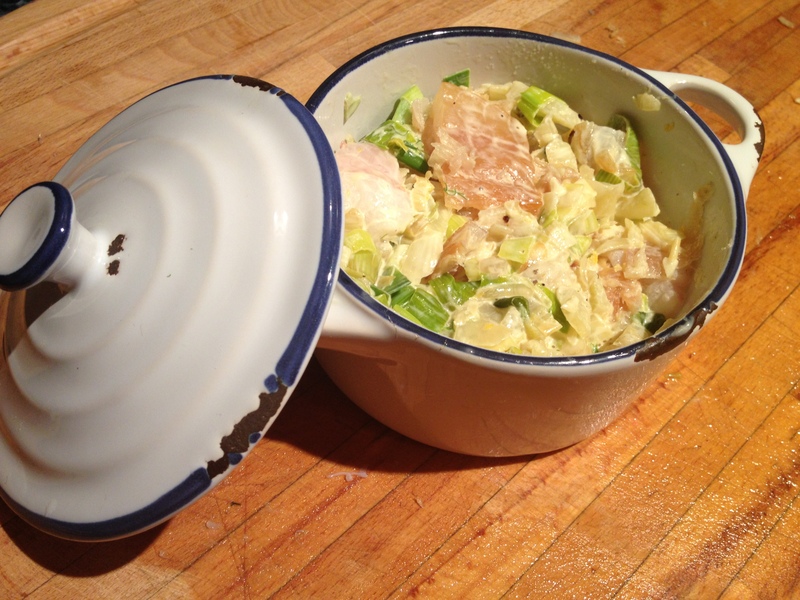 Return to the oven out of the tin for 5/10 minutes to crisp up the sides and base. 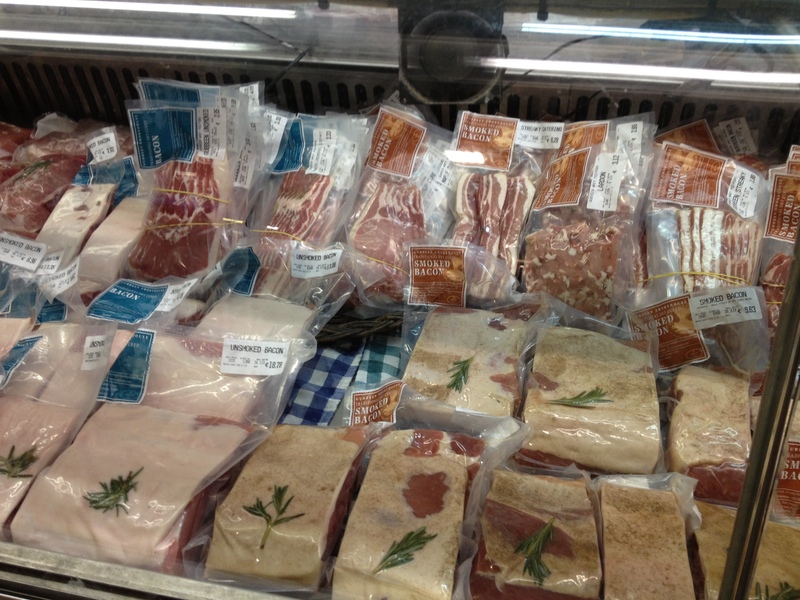 Leave to cool on a wire rack. 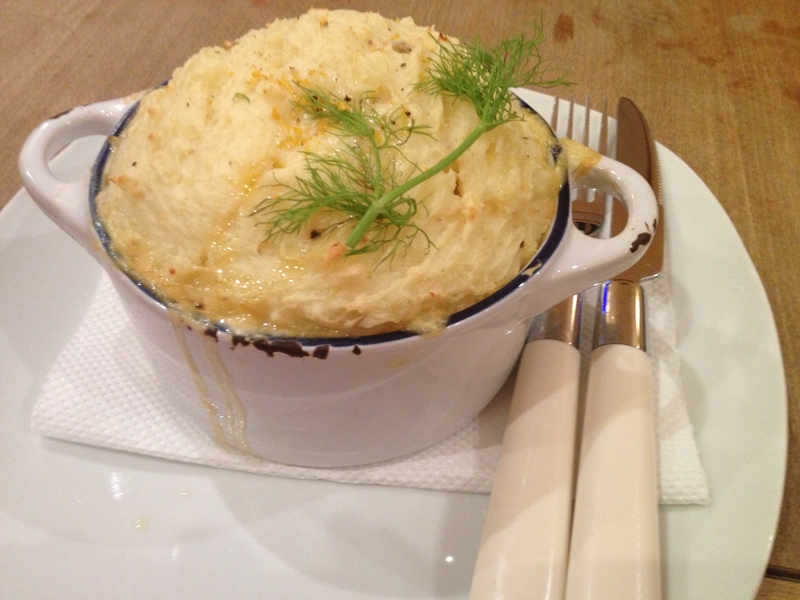 I made Fish Pie for the first time this weekend and I must admit, I was quite impressed with myself! 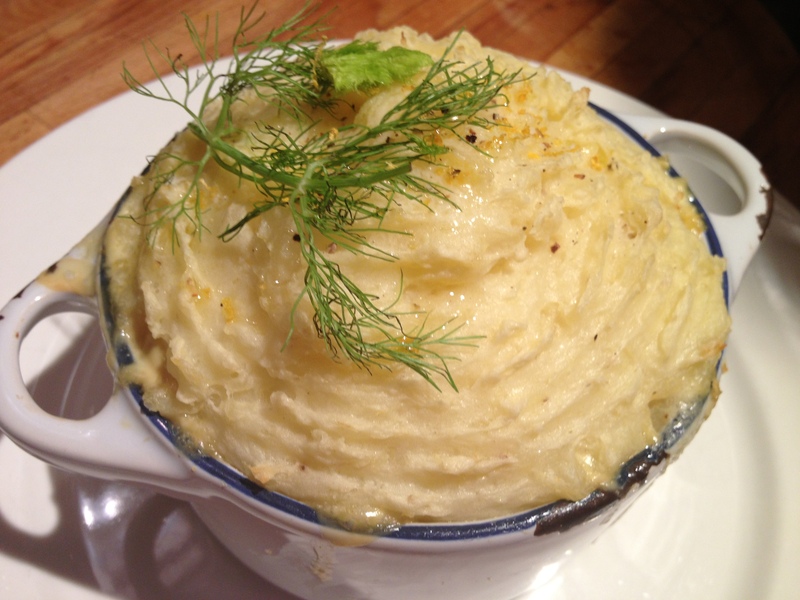 I had a craving for some comforting, hearty fish pie during the week and so set about making some on Saturday night. I noticed everyone was blogging pictures of green food this weekend and Irish traditional dishes for Paddy’s Day, which I didn’t do at all. But I think this Fish Pie still fits the traditional Irish food bill, so I’m going to pretend that this was my patriotic offering this Paddy’s Weekend. 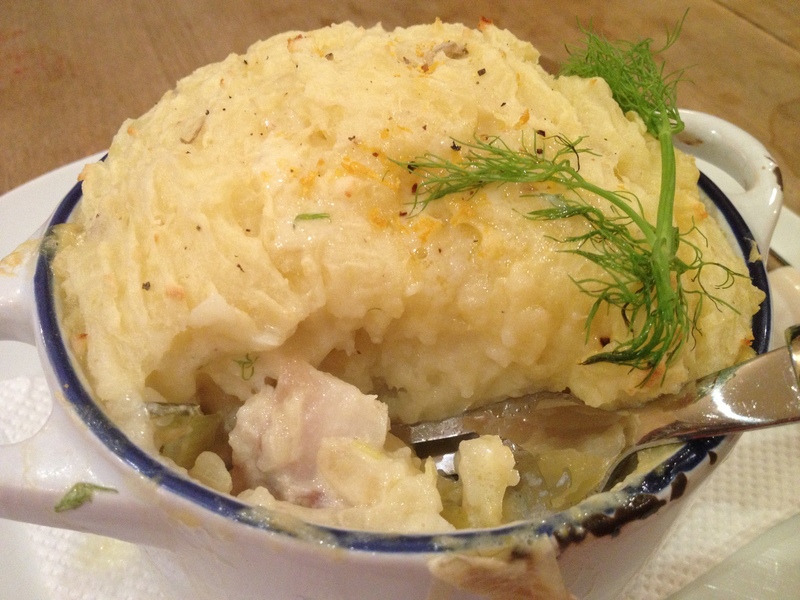 I wanted to use some fennel and lemon juice in my fish pie for a nice refreshing flavour and so stuck to white fish only, as I felt the flavours would complement each other. 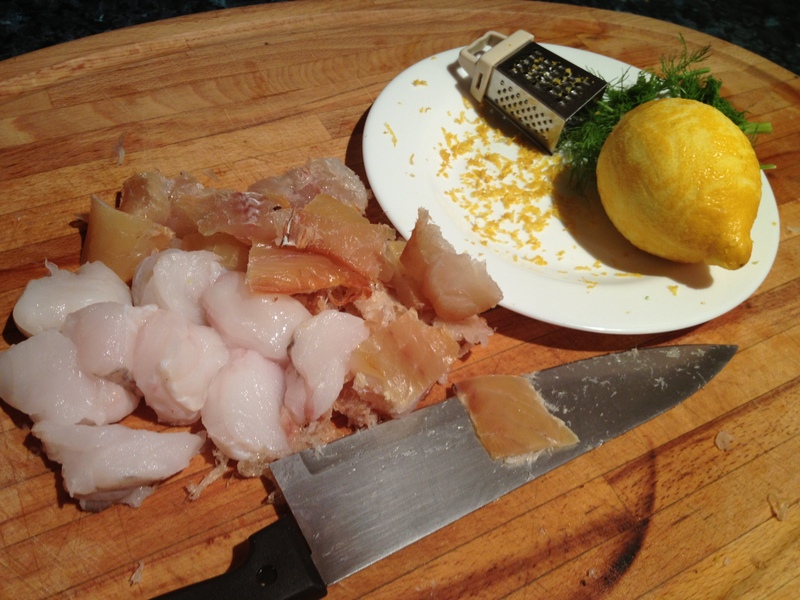 I picked up a nice fillet of smoked haddock and also of monkfish and they worked beautifully. 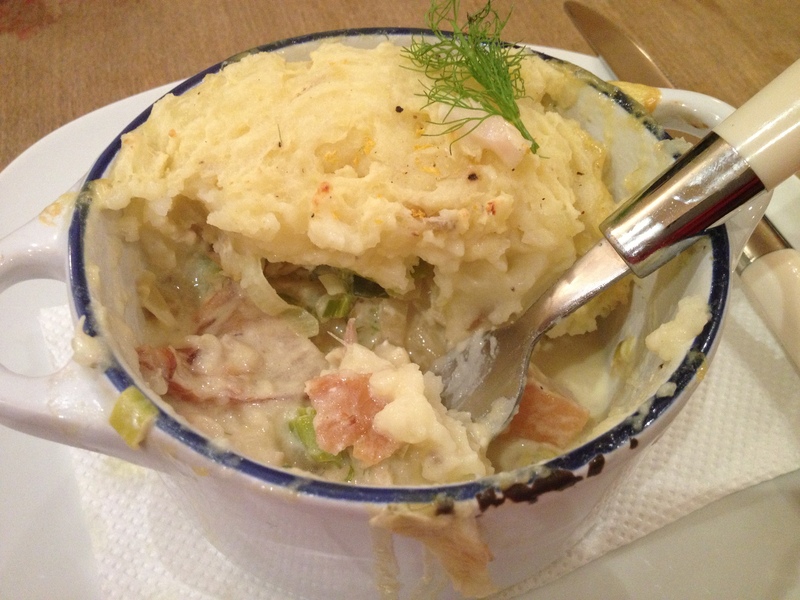 No proper fish pie would ever leave out the smoked fish, you need the smokiness to cut through the creamy sauce. I think that simple, comforting meals like this are the best, all you need to do it make sure you get the freshest fish, veg and dairy and you are bound to produce a mouth watering pie! The sauce was silly it was so easy, I essentially just poured some cream on top of the sautéed vegetables and seasoned it and that was that! I recommend giving this a go. I made two individually portioned fish pies, but if you are making a full family sized one, just double the quantities listed below. 1. Boil the potatoes for about 20 to 30 minutes depending on size. They’re done when a knife cuts easily through them. Mash the potatoes with a knob of butter, a splash of milk and some salt and pepper. You want your mash soft but firm, add a little more milk if necessary. 2. Finely chop the fennel bulb, make sure to keep the fennel herb at the top of the bulb for use later. 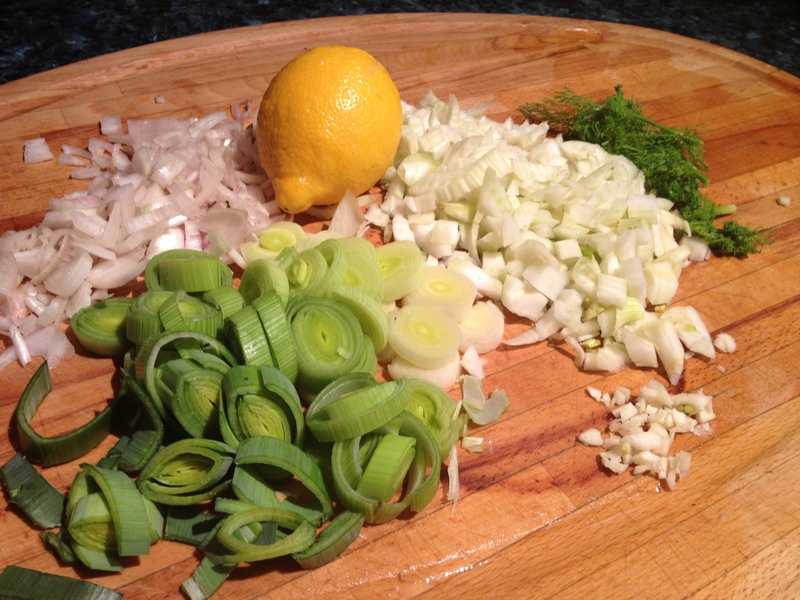 Slice up your leek and scallions too (a mandolin makes a nice quick job of this.) Just to note, the fennel takes a little longer to soften so slice finely and perhaps start frying a few minutes before adding the rest of the veg. 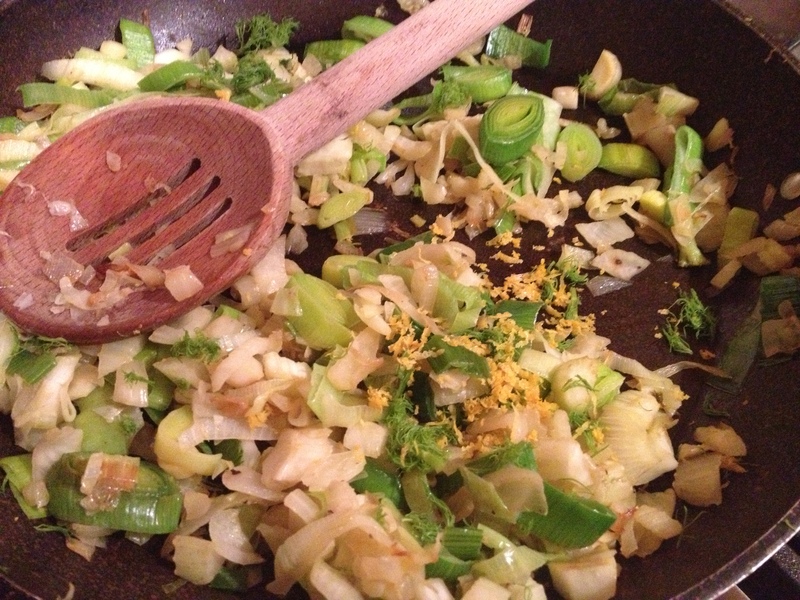 Sauté all the veg until soft, add the cream to the pan of vegetables and add the lemon juice, half the lemon zest, some salt and pepper and half the fennel herbs. Make sure to taste it at this point and add more lemon or pepper if necessary. 3. 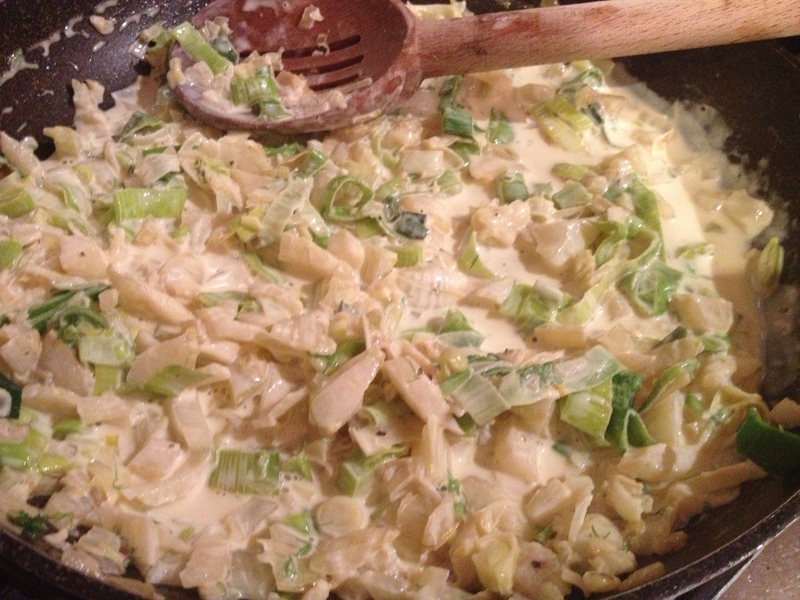 Fill your dishes until they are half filled with the creamy vegetables and then mix in the uncooked chopped fish pieces. 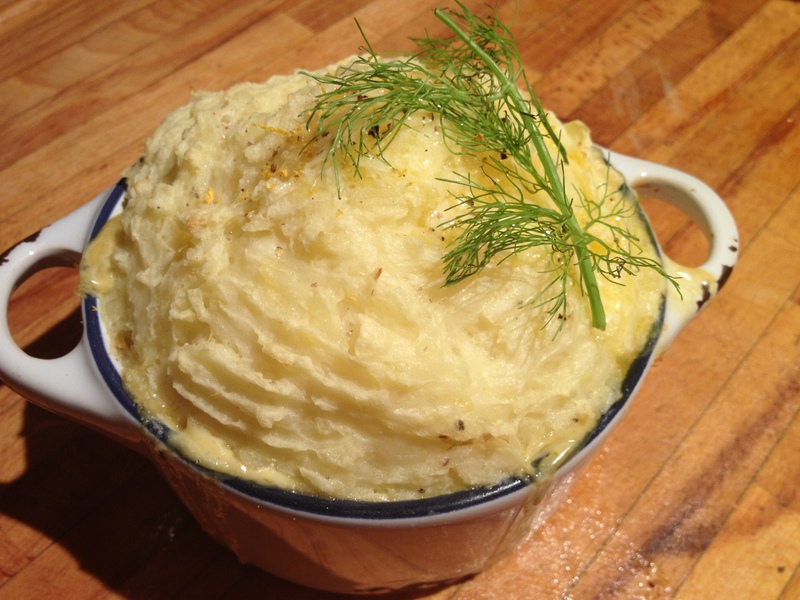 Cover the fish mix with the mashed potato and put into a preheated oven at 180C for 30 to 40 minutes. 4. Two minutes before taking out put a little knob of butter on top of each fish pie. 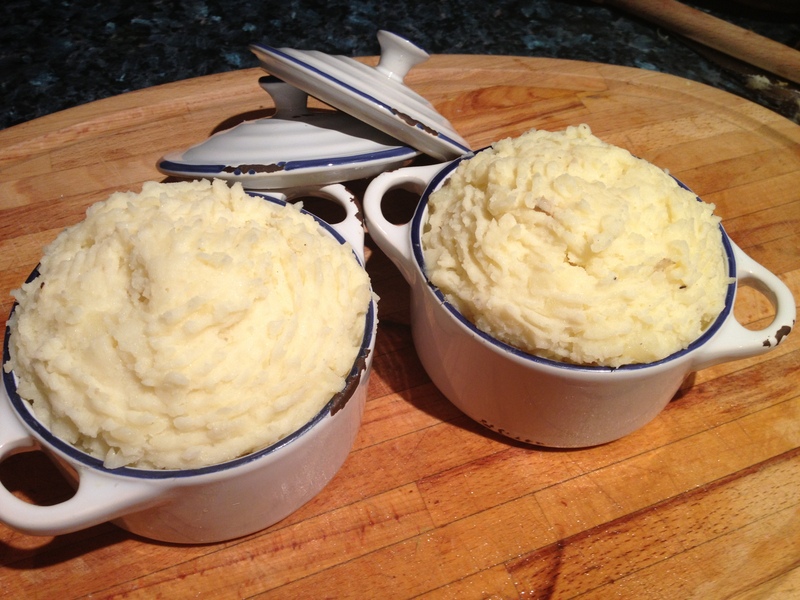 It melts down the edges but I think a drizzle of melted butter over the top of the mashed potato is so inviting! Take out and garnish with the remaining lemon zest and fennel herbs. Enjoy! This week I started a four week bread making course with Arbutus Breads, and it was something I have been looking forward to for ages and ages. 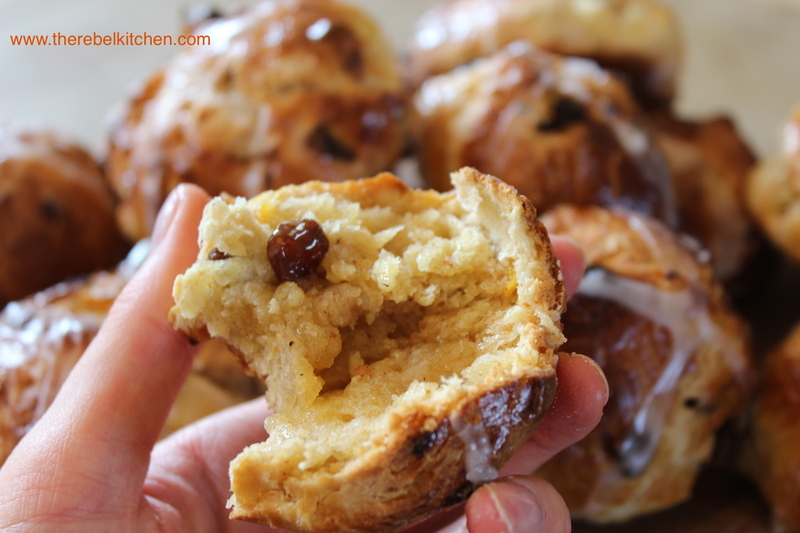 Food is one of my favourite things about coming home to Cork, and Arbutus is one of the best artisan food companies around, it’s certainly the best bakery in Ireland. Their Latvian Rye with caraway seeds is my favourite, but all their breads are amazing, you really have to just taste them to understand where are the hype is coming from. Declan Ryan was the first Michelen star chef in Ireland with his famous Arbutus Lodge restaurant which he ran for many years. 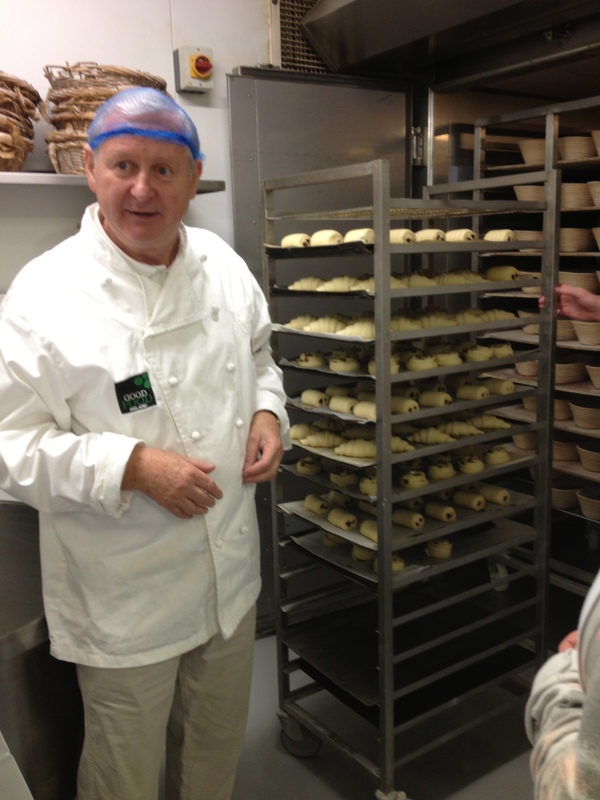 After retiring from the restaurant business he started up the Arbutus Bread Company which is now a household name in Cork for the best in artisan bread. 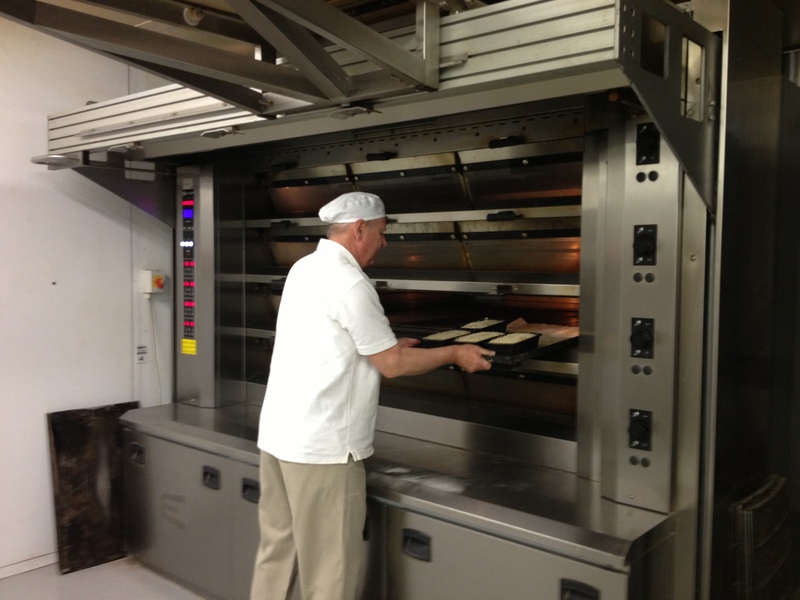 He trained with some of the most famous French bakers using traditional methods. 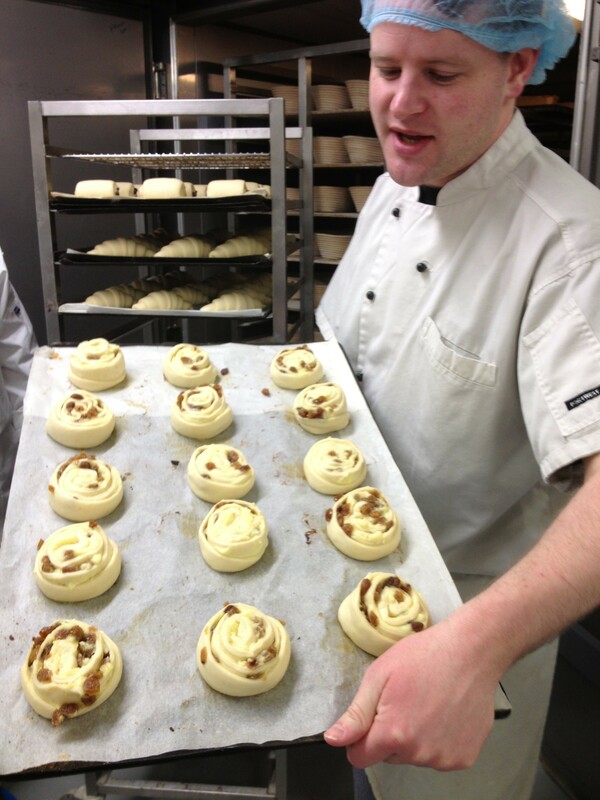 The Arbutus Breads course is ran with his son Darragh one night a week for four weeks, and we will be doing a couple of breads a week. 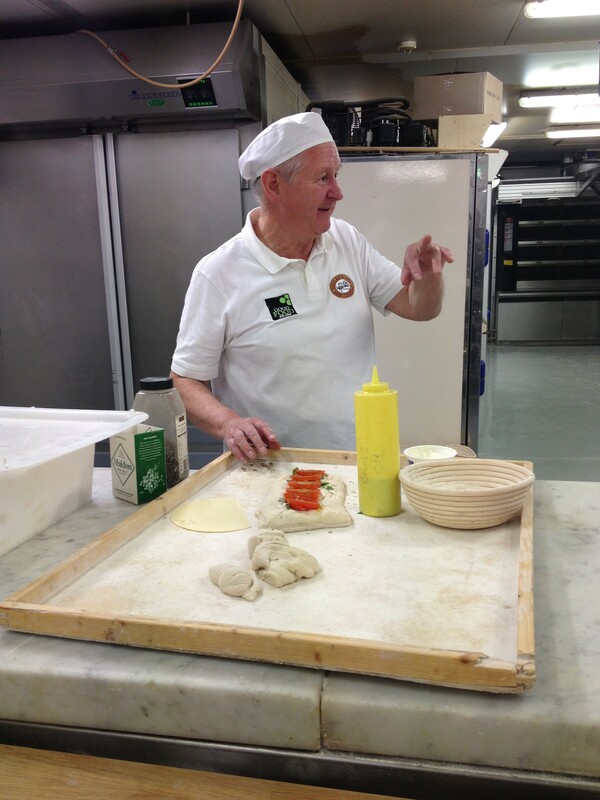 The first class was really educational and it was so nice to listen to Declan’s stories of how he learn the art of traditional French bread making from great names in baking such as Pierre Nury and Xavier Honorin. 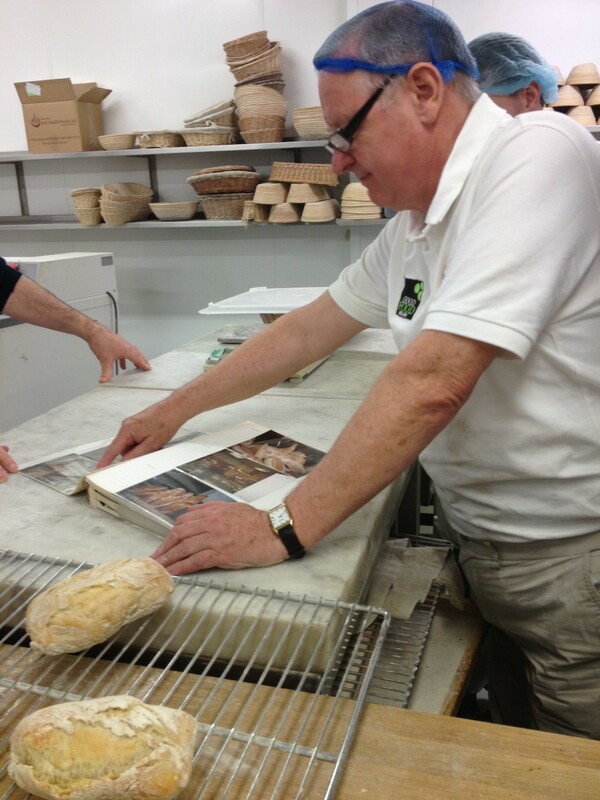 He even had an old photo album of pictures of the bakeries he learnt in, the types of bread he made and methods he used which was amazing to get to see. 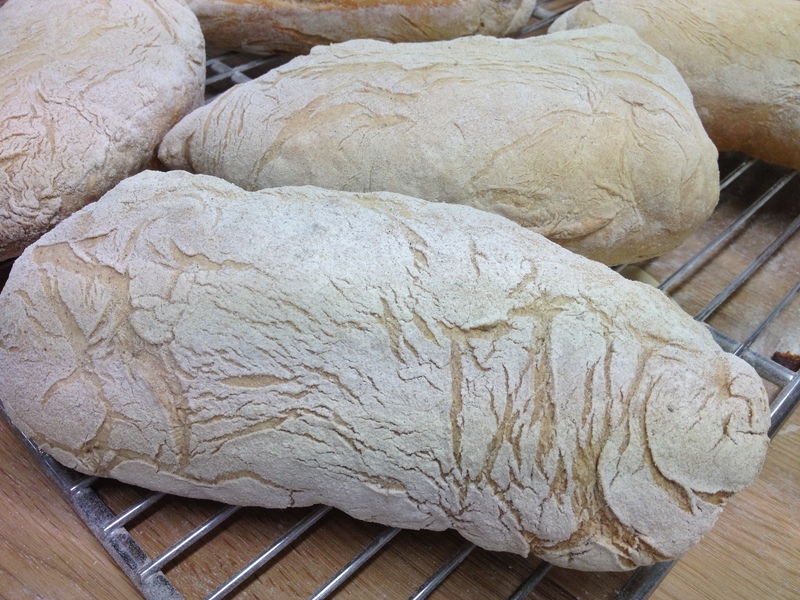 This week we made Ciabatta which is so handy to have in your repertoire. I think successful bread making at home is all about confidence. It seems really intimidating at first but you just need to keep trying and not be disheartened by the fact that your first attempt may be an epic fail, and the second may not exactly win a beauty pageant. But persevere and you’ll get the knack quickly enough! 1. 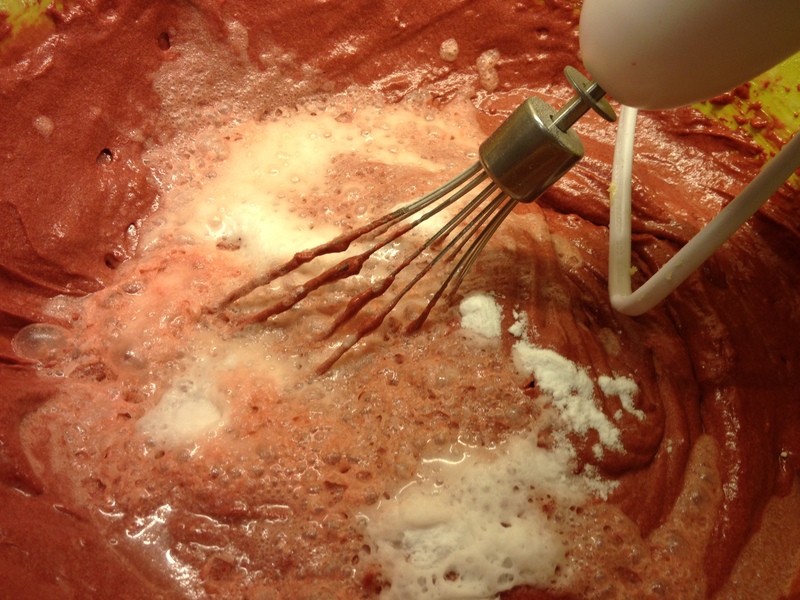 Mix ingredients together in a mixer with a paddle attachment, or by hand for 5 to 10 minutes. It’s a very wet loose mix so don’t worry that it looks a bit sloppy. Declan suggested mixing it until it becomes glossy. 2. 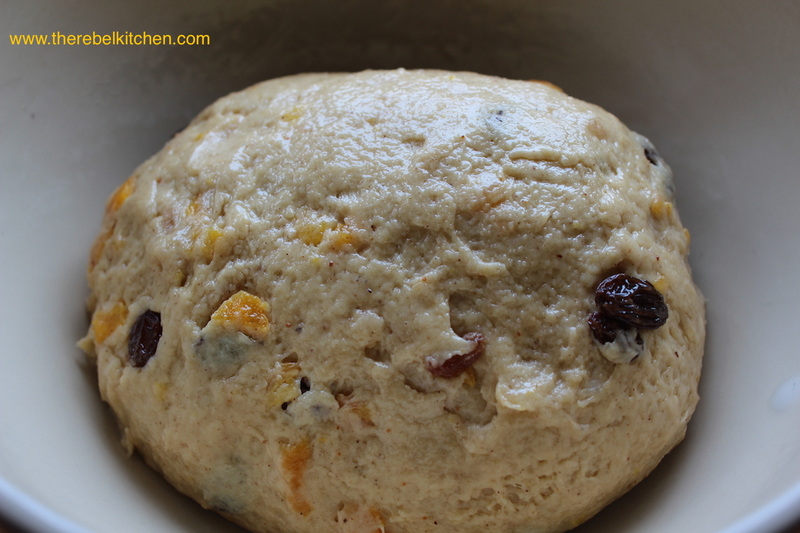 When all ingredients are combined put the dough in a large container, cover it and let prove (sit) for around two hours, in a warm area if possible. It should double in size. 3. 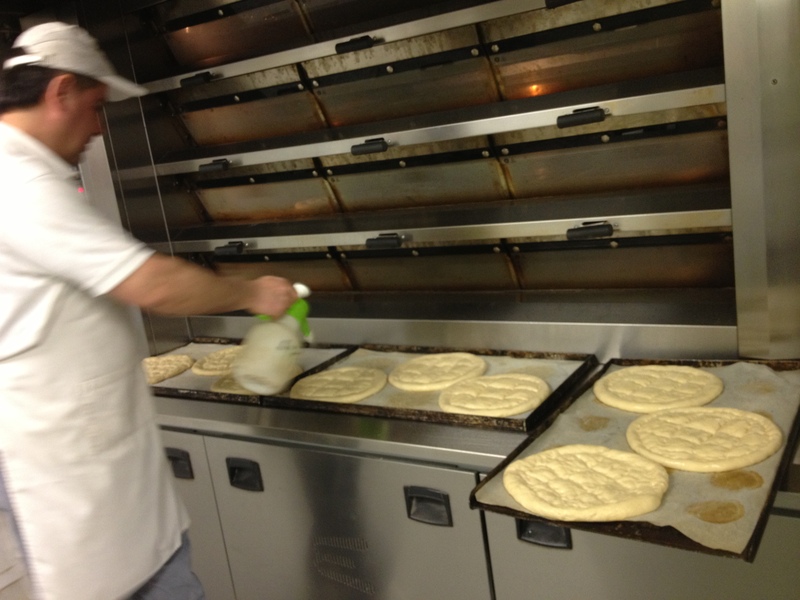 Take out dough and it knock back on a floured surface. 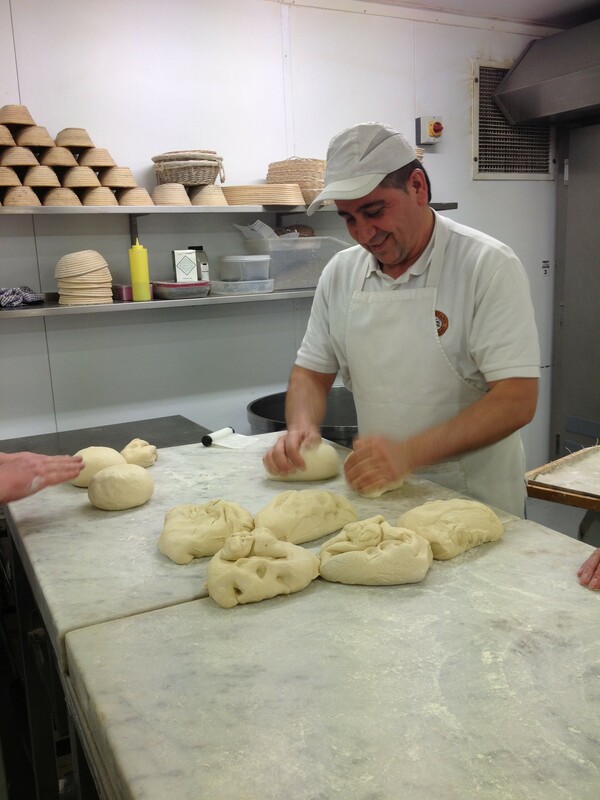 This is as simple as patting down the dough, you can’t knead it again as the loose mixture won’t allow it. 4. 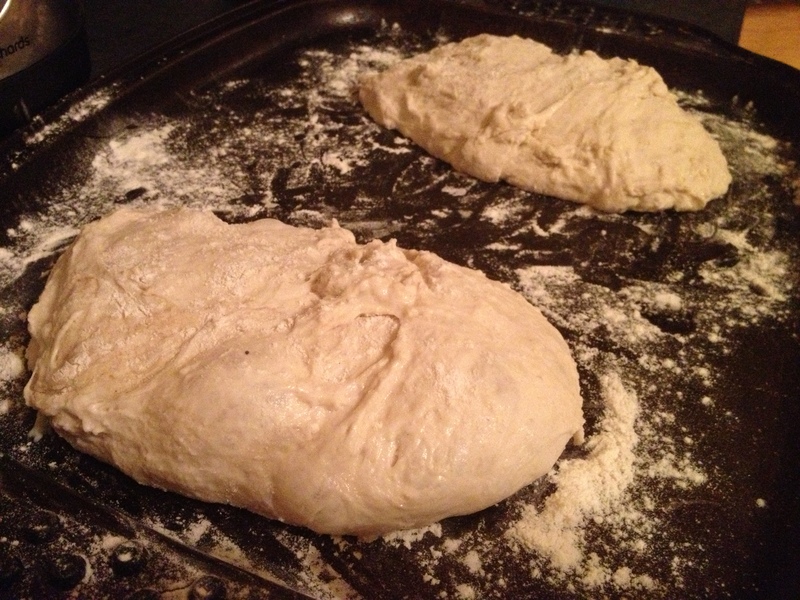 You can either leave the dough as is or portion it into smaller pieces for ciabatta buns. 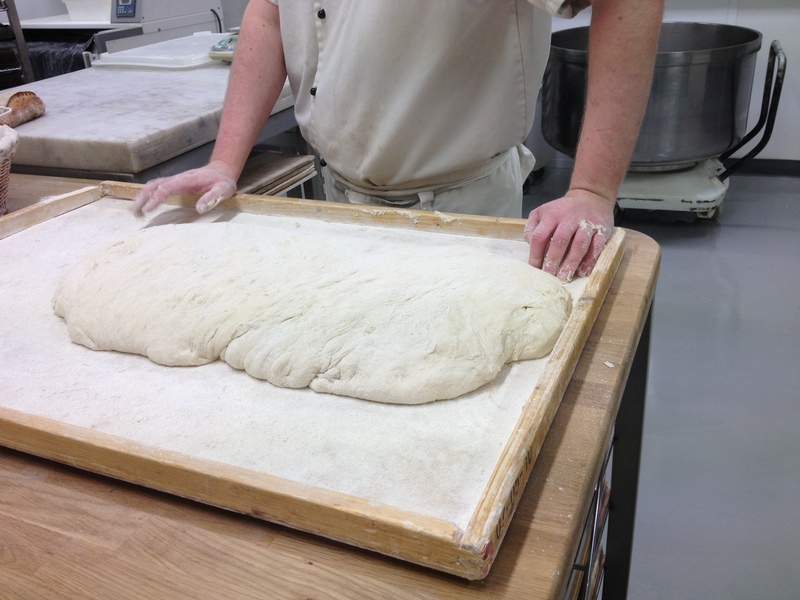 Let the dough prove on a floured cloth for another 30 to 60 minutes. 5. Pop into a hot oven at 250C for about 15 minutes or so. Declan said not to get too worried about time, and just go with your gut “When it’s done, it’s done”. It will be done when it sounds hollow when you tap it. 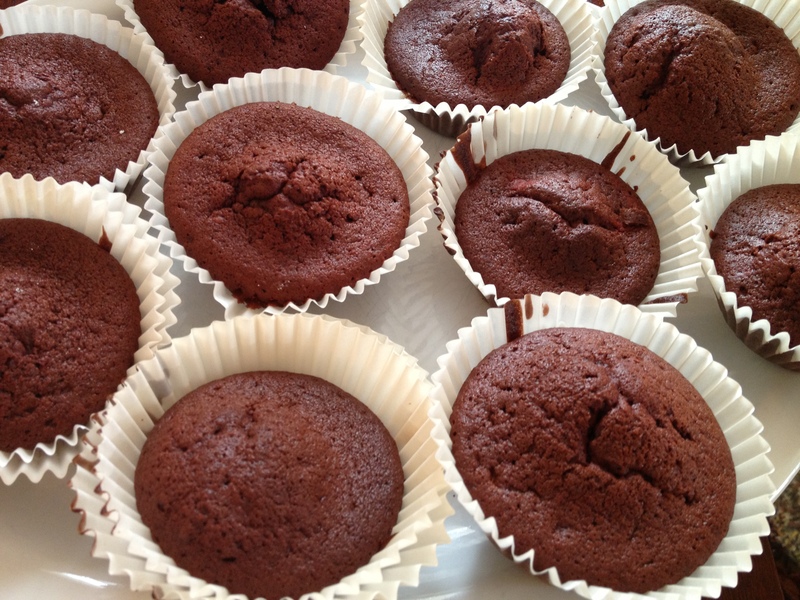 You can always make a batch and freeze some smaller individual portions when baked for use when you need. 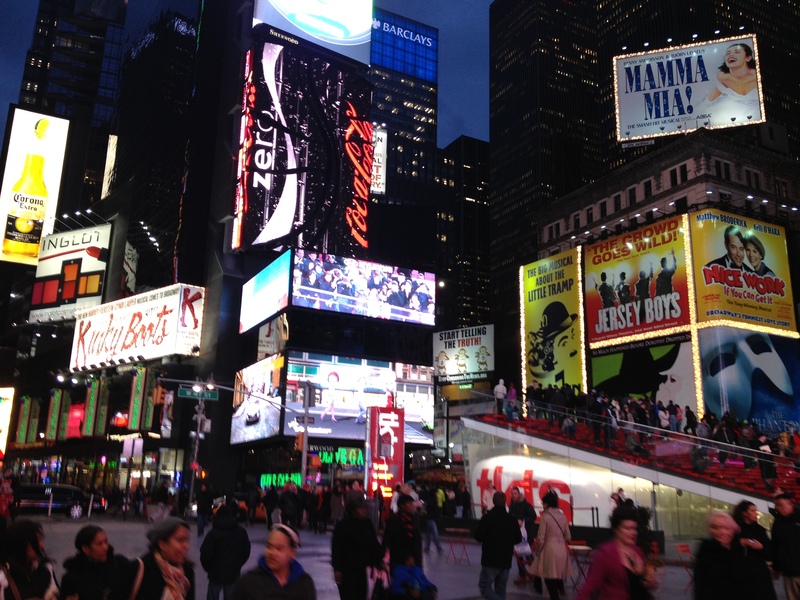 Last week I was travelling around New York and managed to try out quite a lot of amazing restaurants, cafes and bakeries in the four days that I was there. 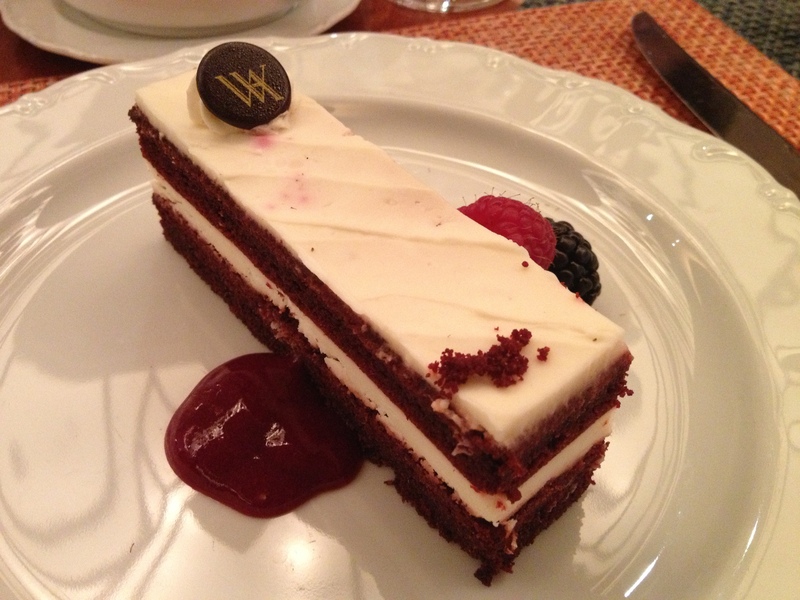 I stayed in The Waldorf Astoria over the weekend and while there I learned that Red Velvet cake was actually invented in The Waldorf Hotel! Of course I then had to try a slice there, where it was first created many years ago. 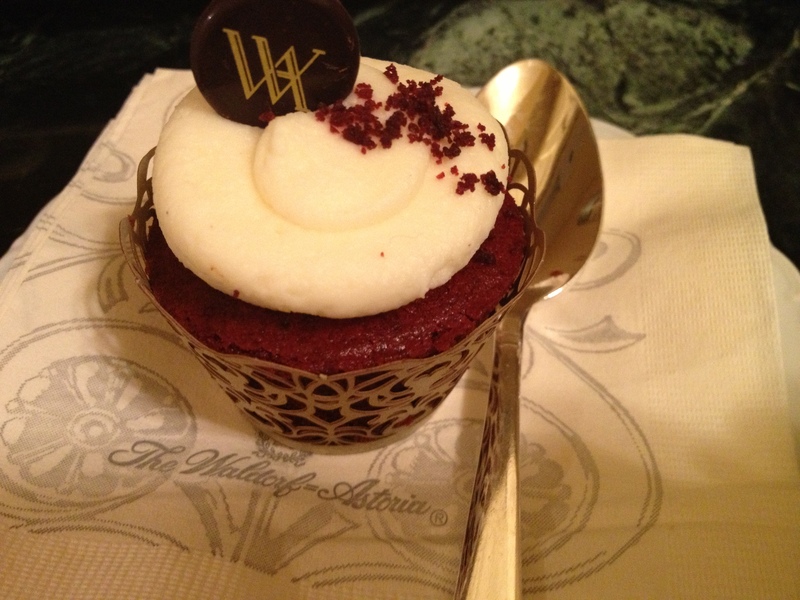 And then when I went to my room later that night I was pleasantly surprise to find a little Red Velvet cupcake waiting for me! 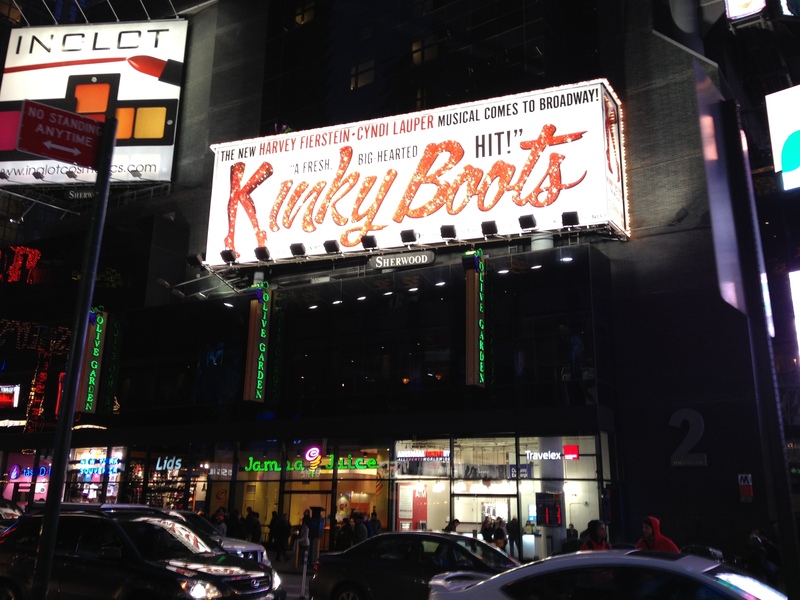 It was the perfect late night indulgence after an evening exploring New York. 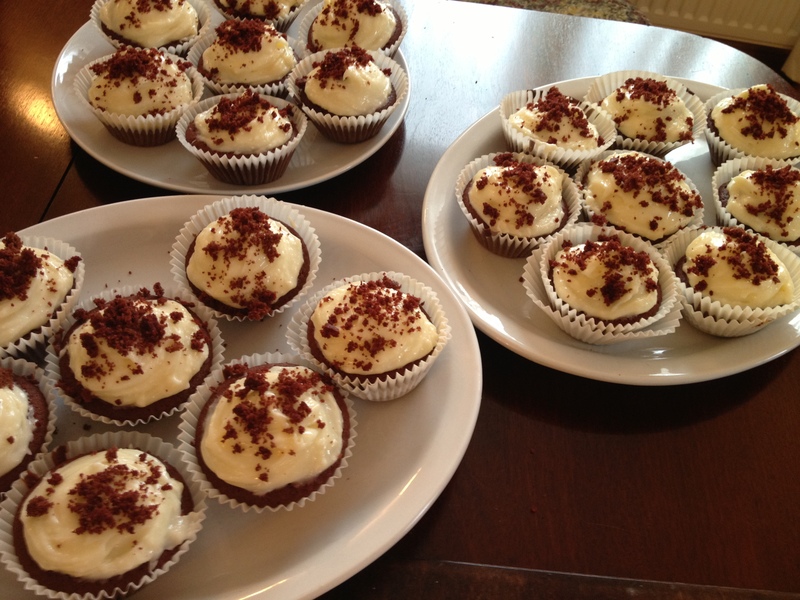 My mum’s birthday was last weekend, and we threw her a surprise party and so I decided to make a few trays of Red Velvet cupcakes for dessert as I was curious to try them out. 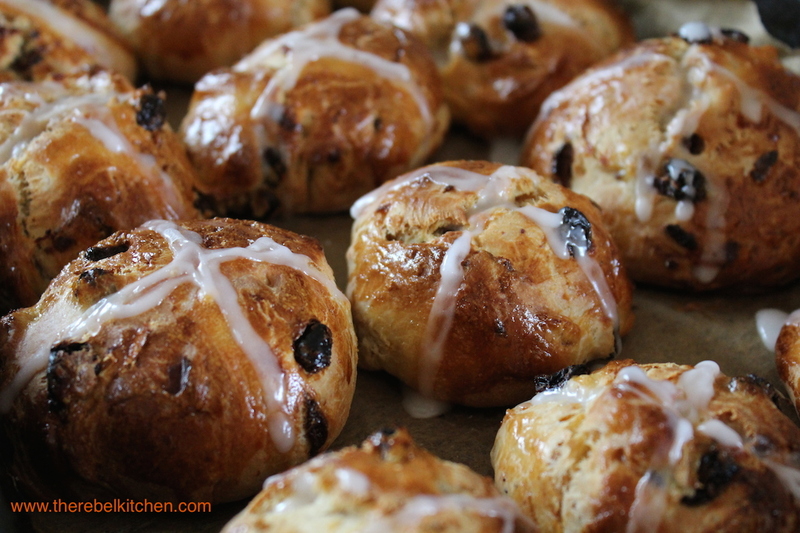 They’re actually very easy to make, and really delicious. I used the Hummingbird Cafe recipe, and it was perfect. 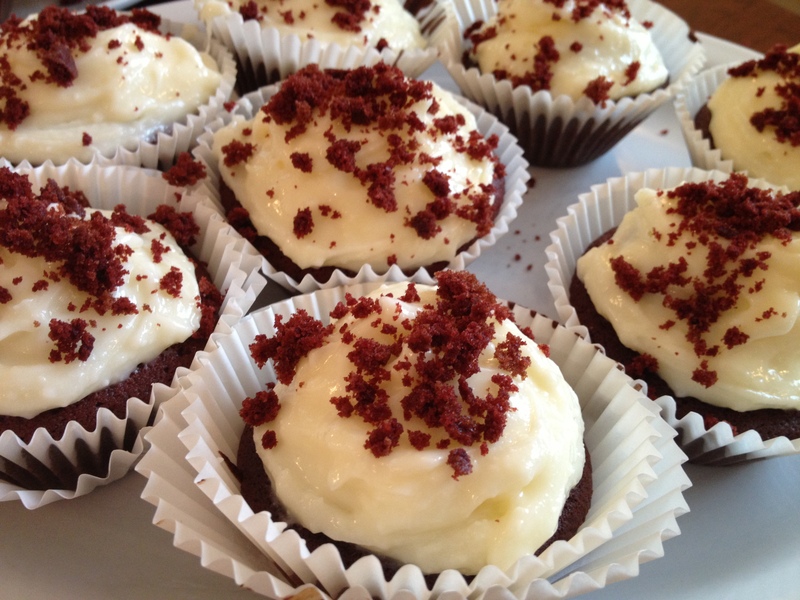 They taste delicious, are easy to make and look very impressive. 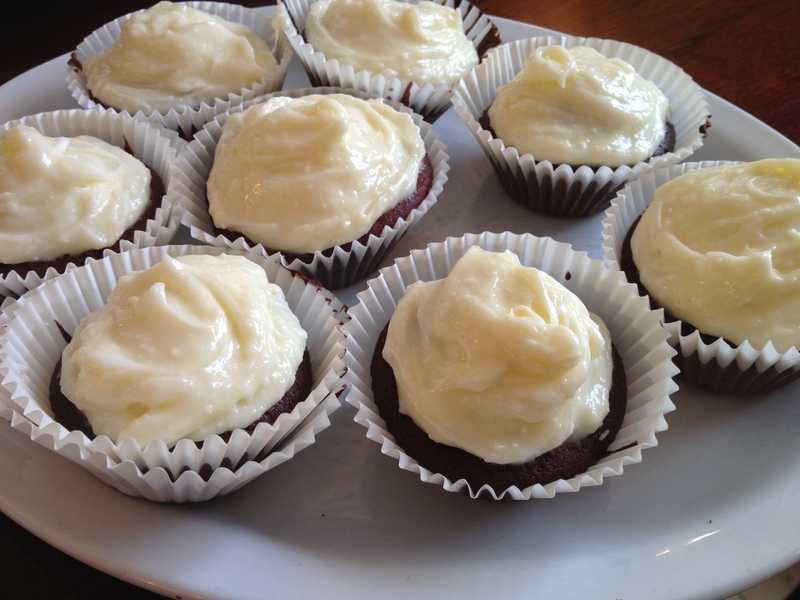 They have a cocoa vanilla taste, and the buttermilk makes them really soft and moist… I don’t think I need to explain why the cream cheese icing tastes so good! 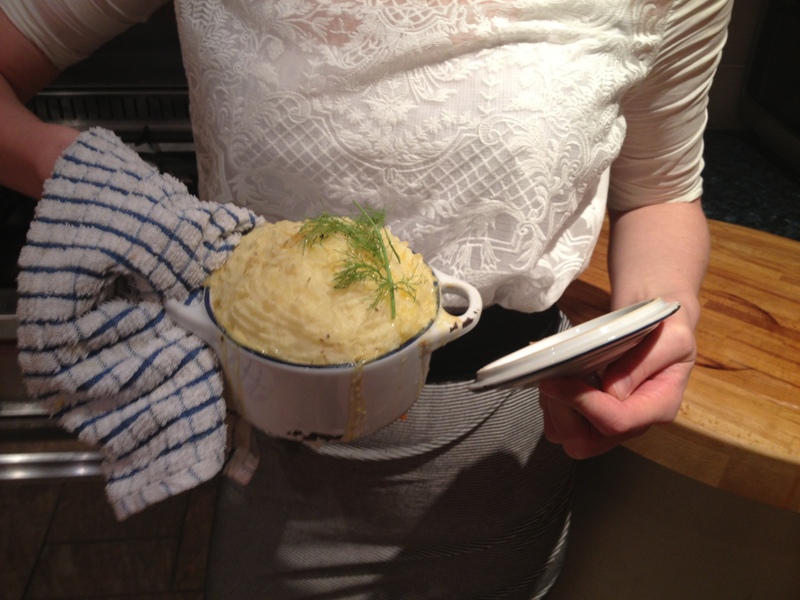 This is definitely a recipe to try when you have guests calling. 1. Preheat the oven to 170°C. Beat together the butter and the sugar until light and fluffy and well mixed. Turn the mixer up to high speed, slowly add the egg and beat until everything is well incorporated. 2. 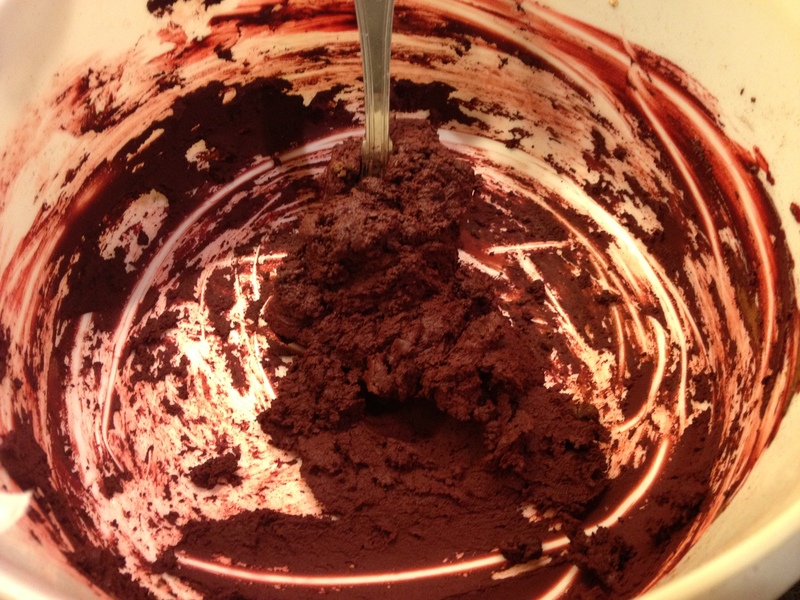 In a separate bowl, mix together the cocoa powder, red food colouring and vanilla extract to make a very thick, dark paste. 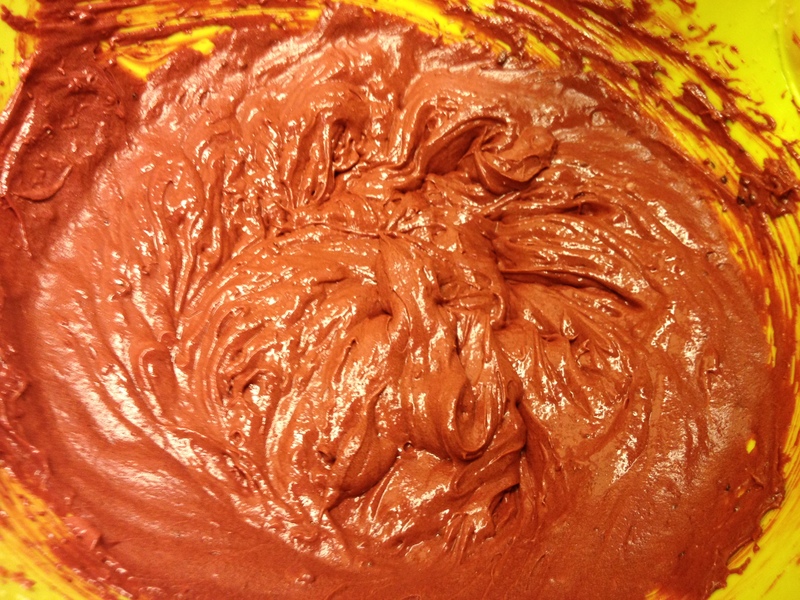 Add to the butter mixture and mix thoroughly until evenly combined and coloured. Turn the mixer down to slow speed and slowly pour in half the buttermilk. 3. 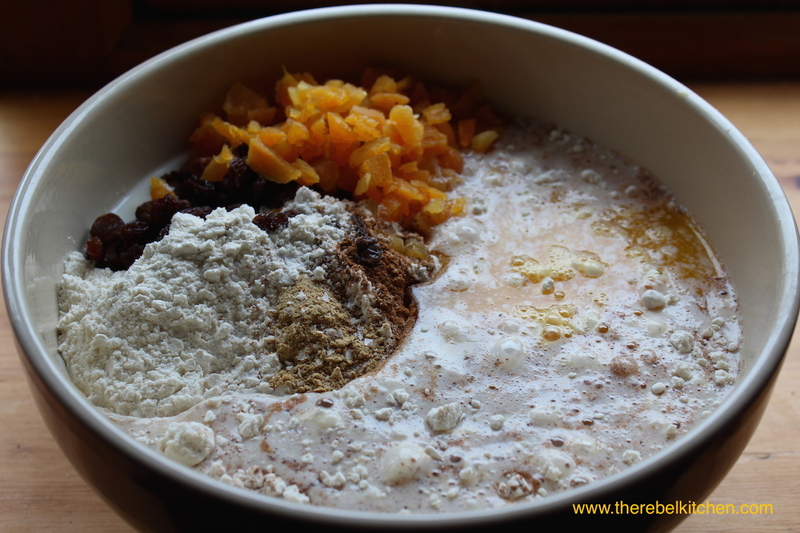 Beat until well mixed, then add half the flour and beat until everything is well incorporated. Repeat this process until all the buttermilk and flour have been added. Beat until you have a smooth, even mixture. Add the bicarbonate of soda and vinegar (they will fizz up which is kind of cool!). Beat until well mixed. 5. To make the frosting beat the icing sugar the remaining 40g of butter together until the mixture comes together and is well mixed. Add the cream cheese in one go and beat it until it is completely incorporated, light and fluffy. Be careful not to overbeat, as it can quickly become runny. 6. Spoon the mixture into the paper cases until two-thirds full and bake in the preheated oven for 20 to 25 minutes, or until the sponge bounces back when touched. A skewer inserted in the centre should come out clean. 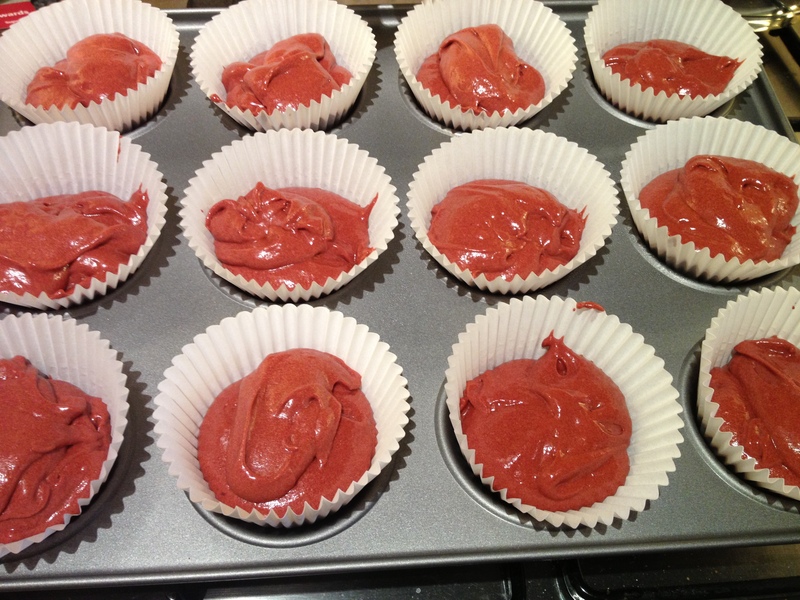 Leave the cupcakes to cool completely before icing them. 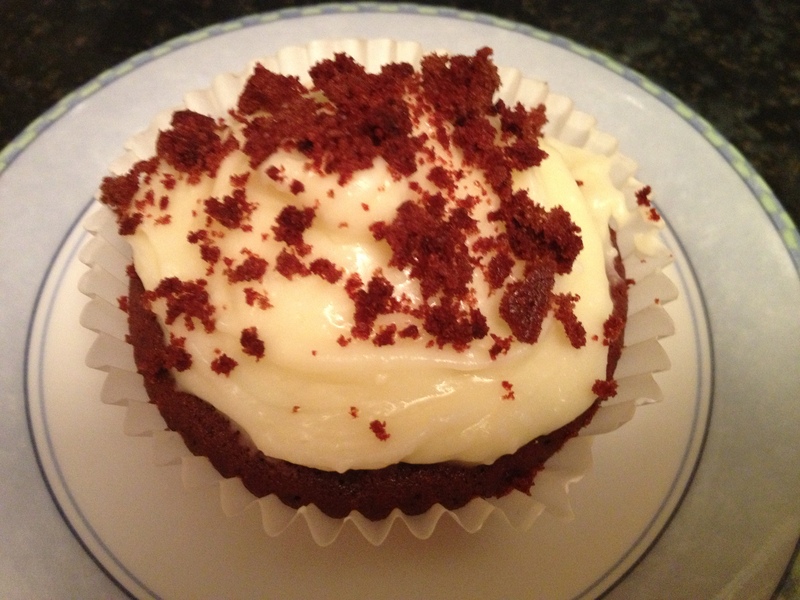 You can use a piping bag, but I just smeared the icing on with the back of a teaspoon. 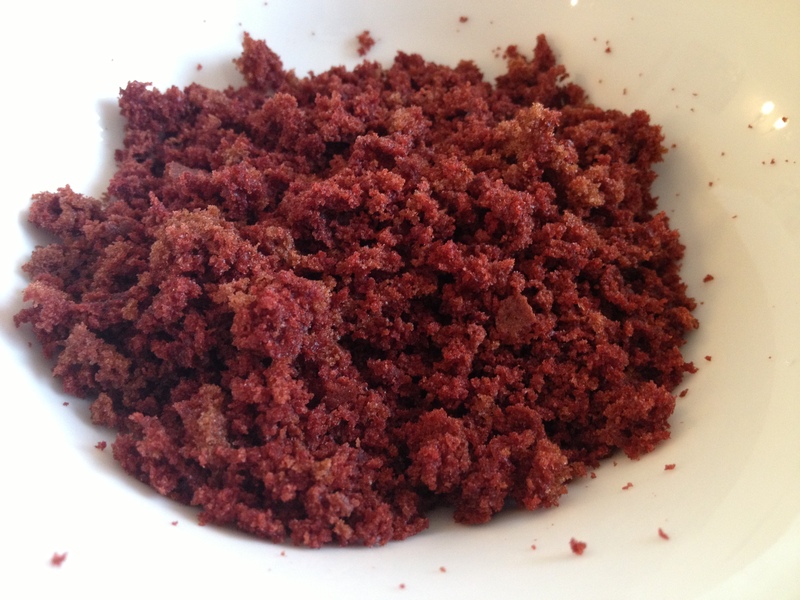 You can use crumbled crumbs of the cake mixture to sprinkle on top of the icing. Delicious! Add Bread Soda and Vinegar… Fizzy! 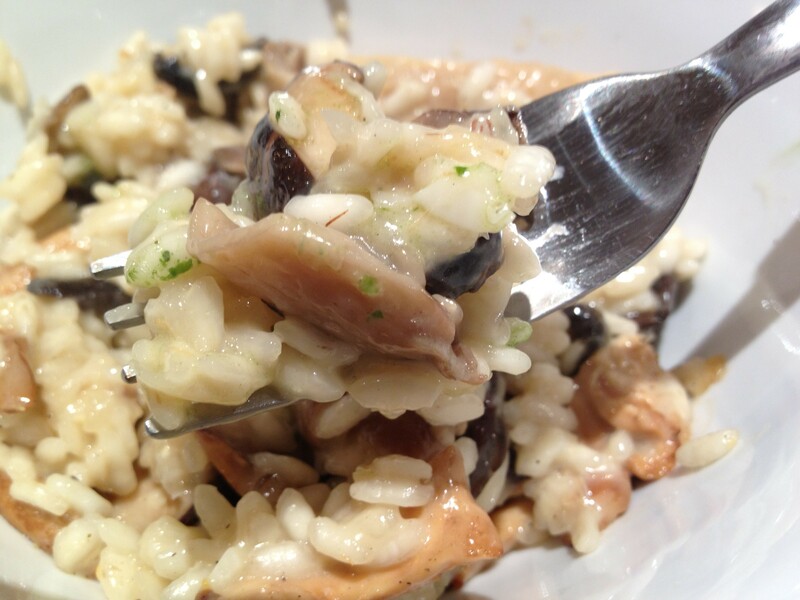 A few weeks ago I made this mushroom risotto and it was so amazing (if I do say so myself) that I’ve made it a few more times since! 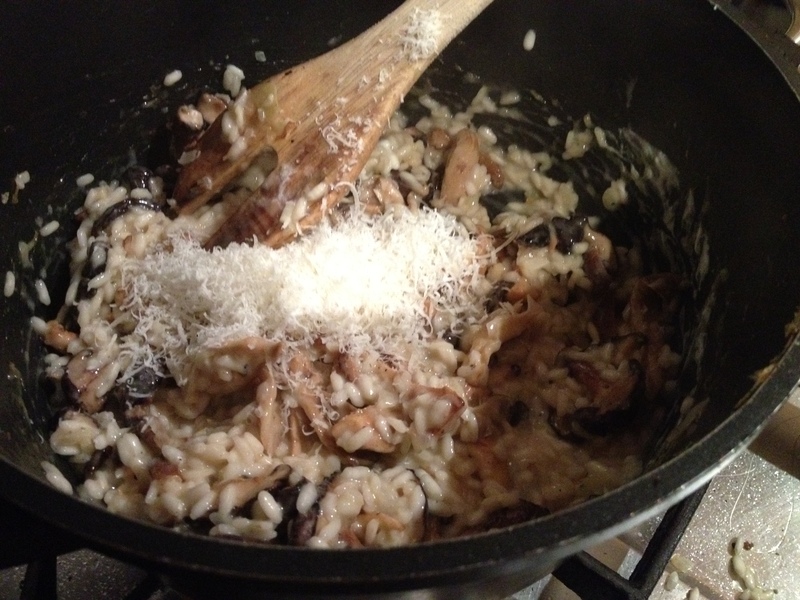 Risotto was one of those things that I put off making as I perceived it to be really hard as people are always giving out about “getting a bad risotto” etc, but actually it’s ridiculously simple! Just stir, stir, stir! 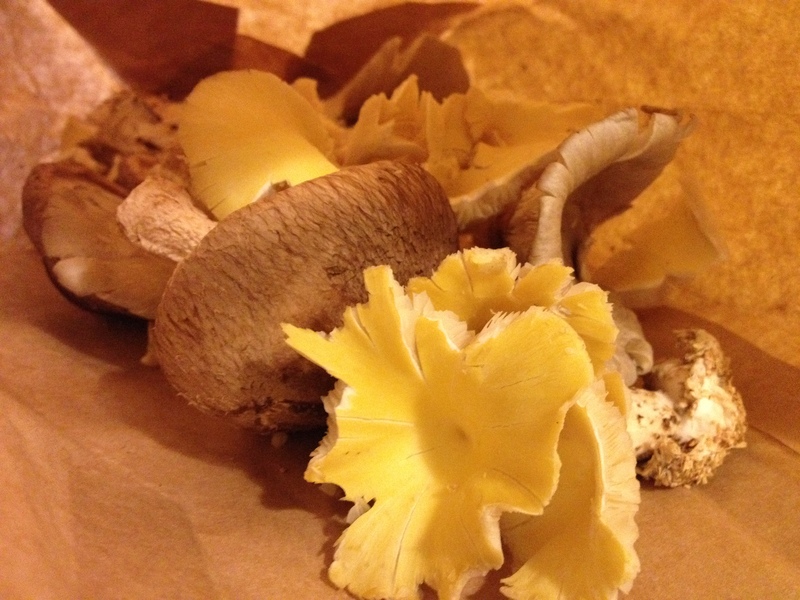 I was at the Mahon Point Farmer’s Market a few weeks ago and bumped into Joe McNamee who quickly pointed me in the direction of Ballyhoura Mushrooms, which apparently were an absolute must buy! He was right of course, and I’m so glad he did point them out as I usually have tunnel vision and go straight to Gubbeen, Arbutus, O’Conaill’s and Flynn’s Kitchen! 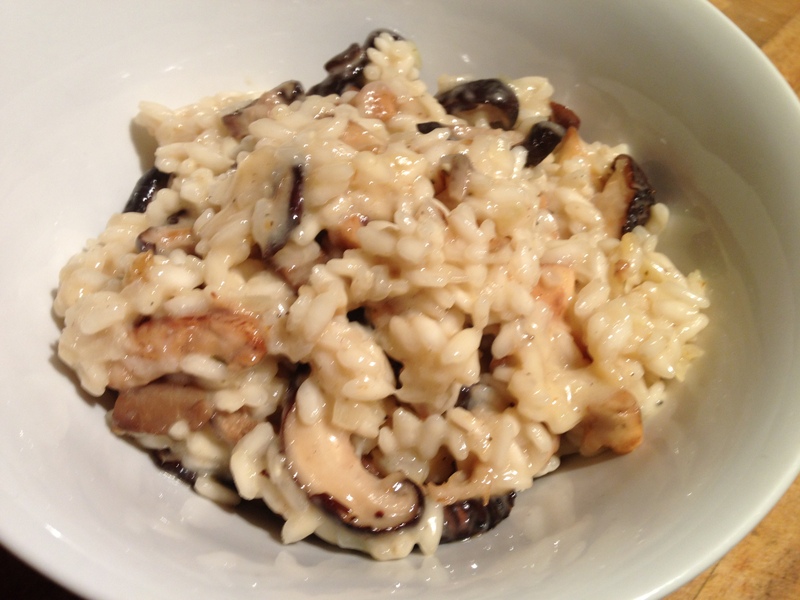 Ballyhoura Mushroom do the most amazing range of mushrooms, I walked away with a bag Shiitake and Oyster mushroom of all different shapes, sizes and colours, and knew instantly I had to make a risotto with these. I wanted them to be the focal point of whatever I was making. 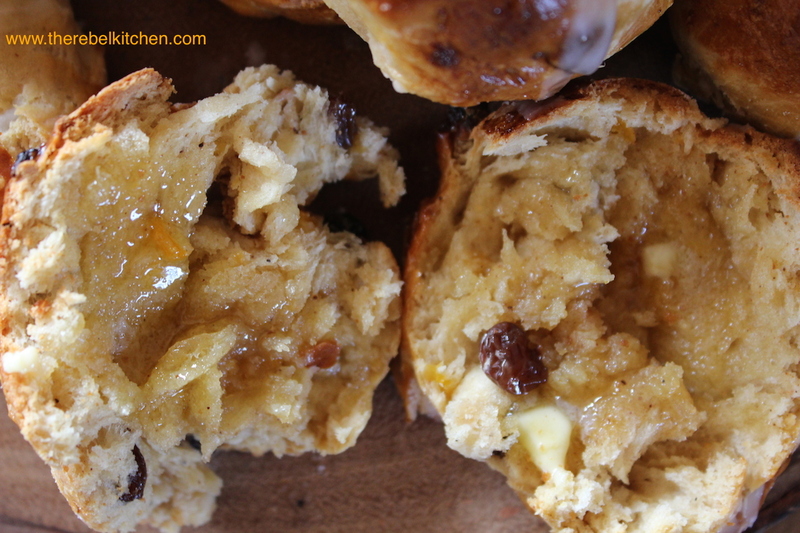 Alas, I crumbled when I got home and ended up fying them in butter and salt and having them on toast! 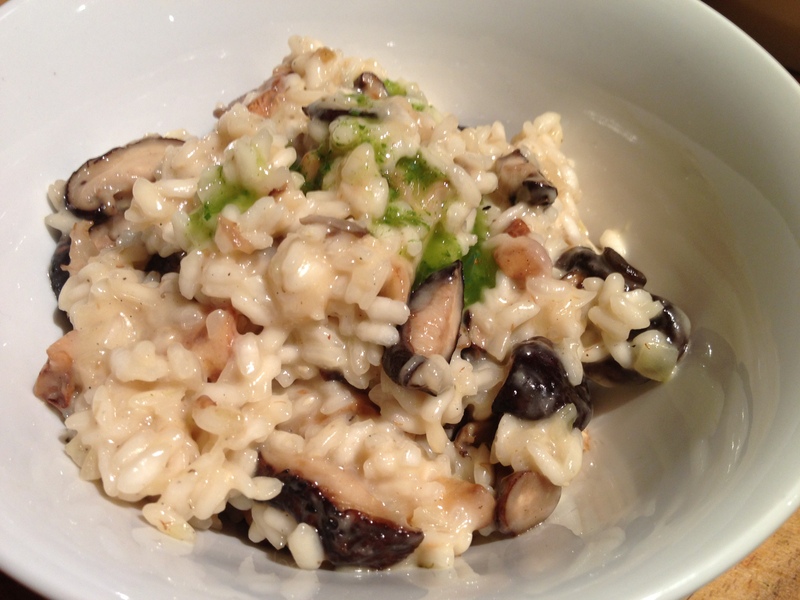 However, I did eventually make a risotto later that week and it was a beauty! 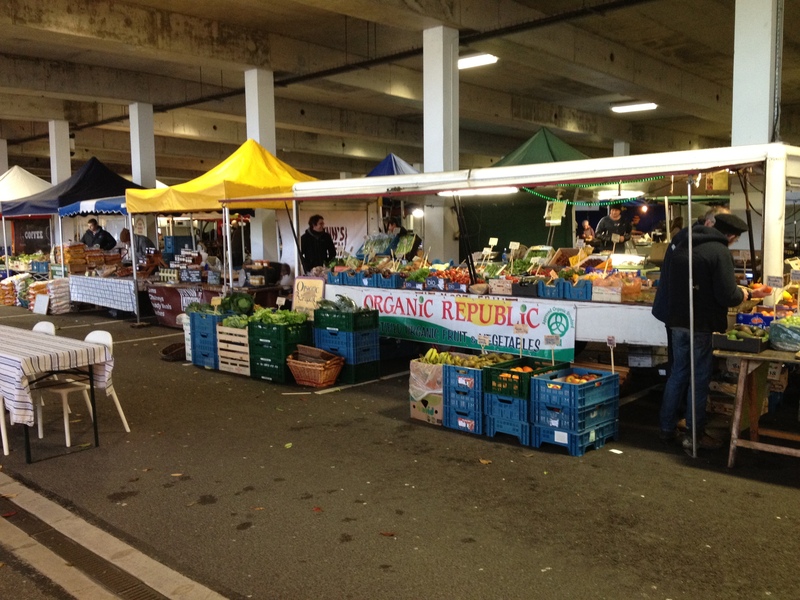 I had eaten all my Ballyhoura beauties though, but thankfully my local greengrocer (Evergreen on Camden Street, Dublin) had a great selection! 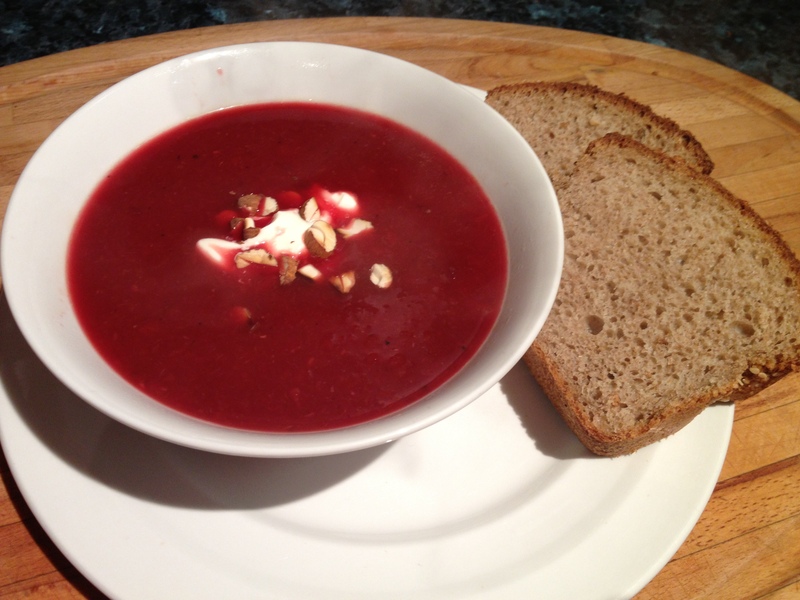 This recipe went down a treat! I used a little of Glenisk’s creme fraiche and parmesan and topped it with some Basil Oil from Flynn’s Kitchen (also bought at the Mahon Market). 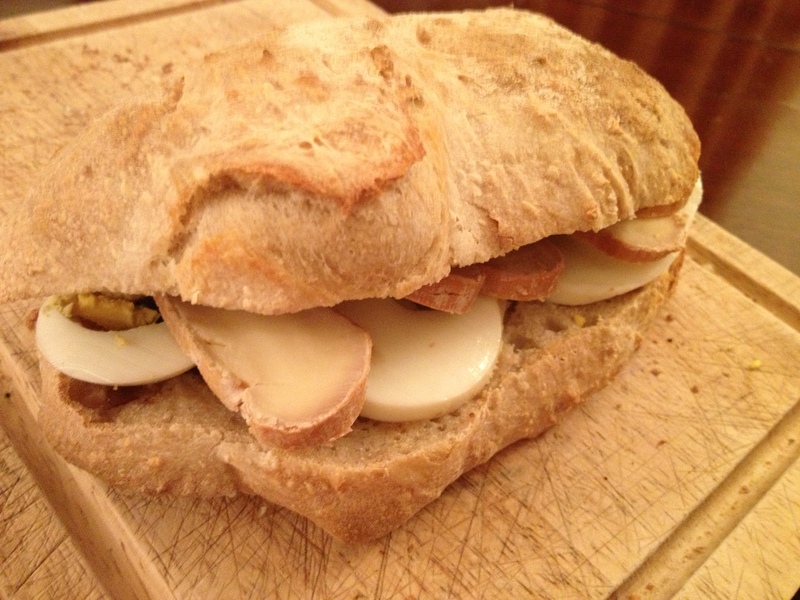 However I made it again the following week and instead used Corleggy Raw Goats Milk Cheese that I bought in the Temple Bar market, and that gave it a lovely kick as it has such a strong flavour. I suppose where I’m going with this food rant, is feel free to play around with ingredients! Enjoy! 1. 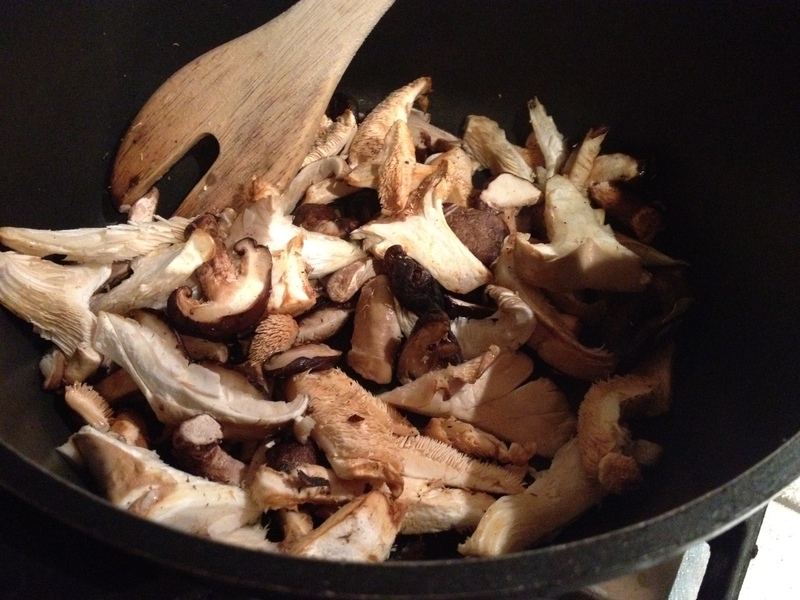 In a heated heavy bottomed pot with a little salt, pepper and olive oil, lightly fry the mushrooms. 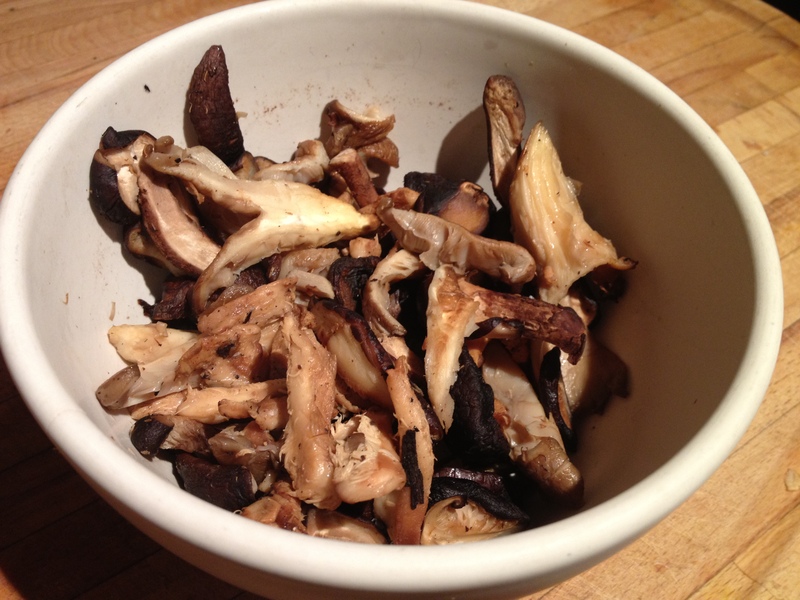 Shiitake take a little longer than the Oysters and Chantarelles to fry, so do these first and add the others after a minute or two. When cooked (not soggy!) set aside. 2. 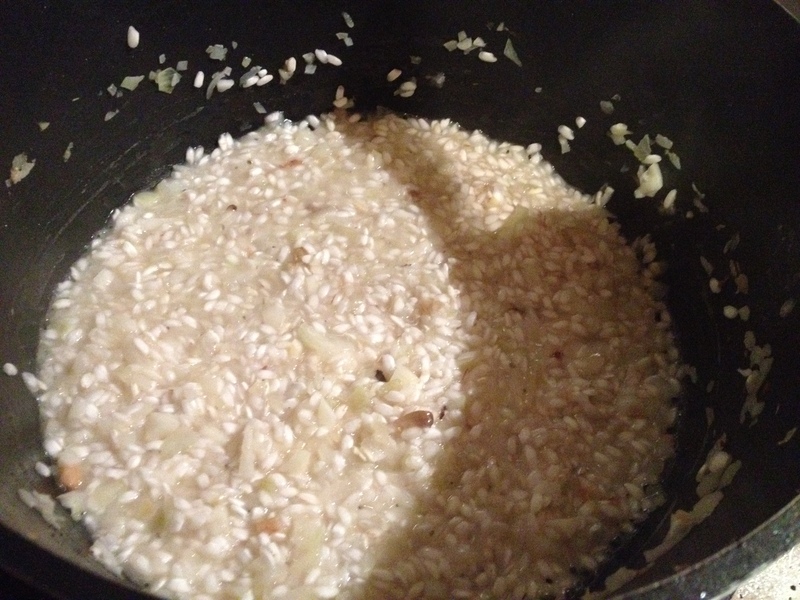 In the same pan add the shallots, garlic, oil and rice and stir for about 2 minutes. Don’t let the garlic or shallots burn, keep the heat medium low. Add the white wine and stir until it has been soaked up. 3. 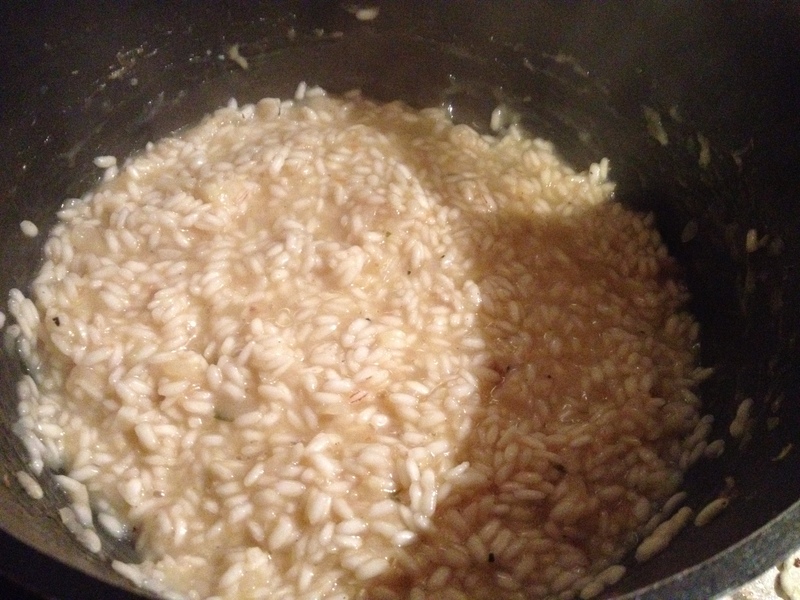 Put the litre of stock in a pot over a simmering heat, and add a ladle full of stock at a time to the rice. Do not add any more stock, until the previous ladle full has been soaked up. Make sure to stir constantly. 4. When all the stock has been soaked up the rice should be cooked through (around 30 minutes), if not, add a little more stock ladle by ladle until done. You want it slightly Al Dente though, not soggy/mushy. 5. 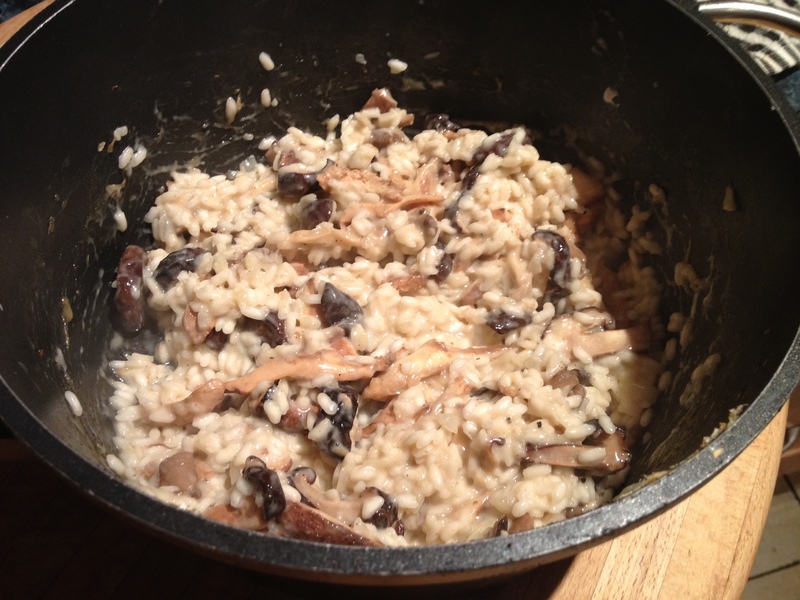 Add back in the mushrooms and keep stirring. Add in the creme fraiche (you can add a little more if you like! ), and the parmesan. 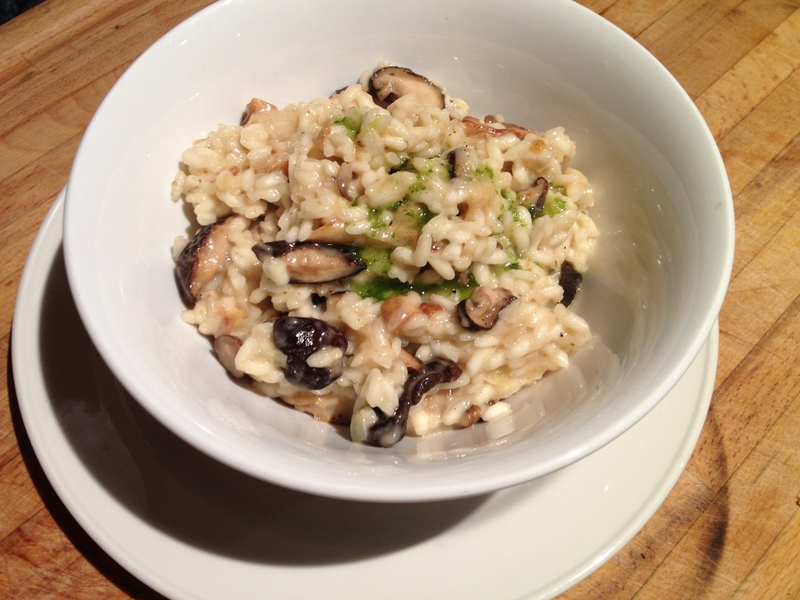 When it all has been combined serve in warm bowls, and with a dash of basil oil if you have some.